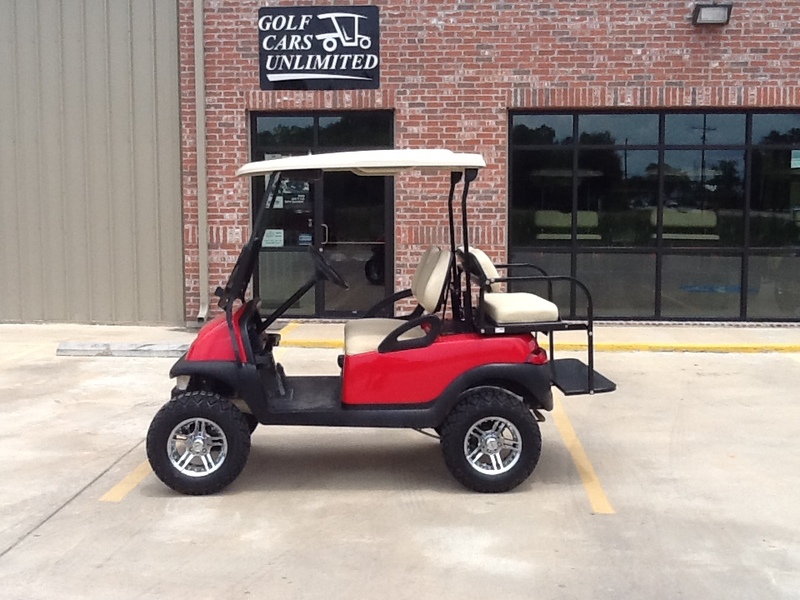 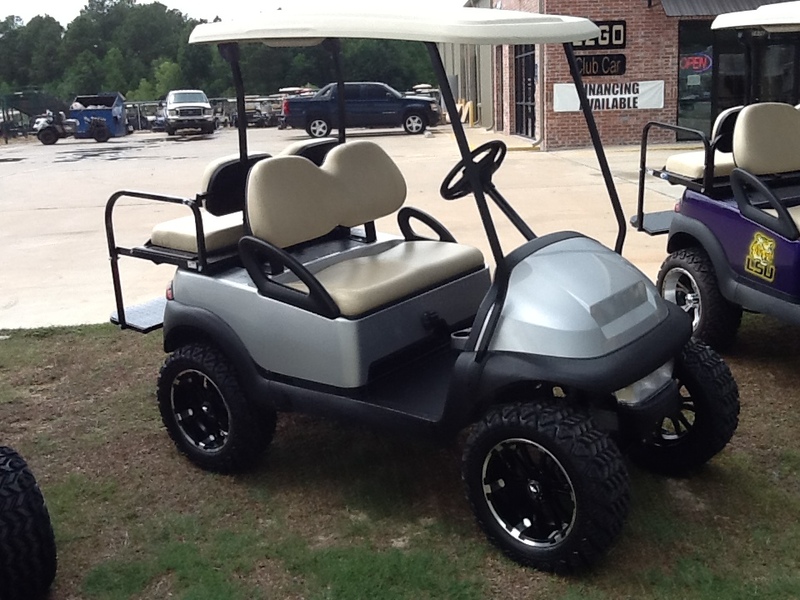 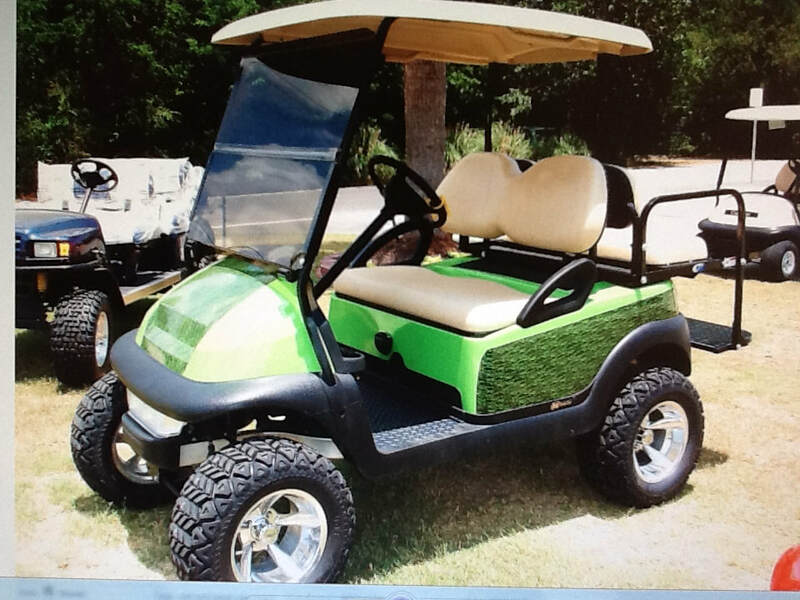 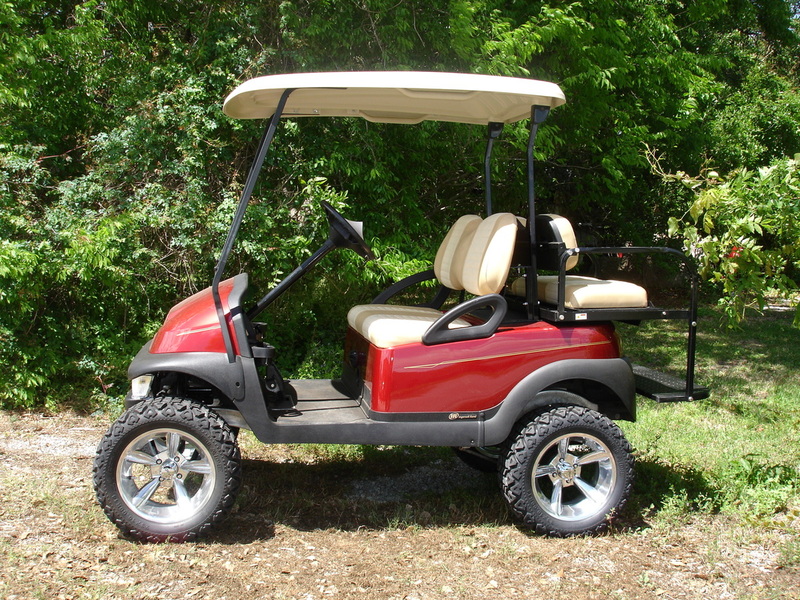 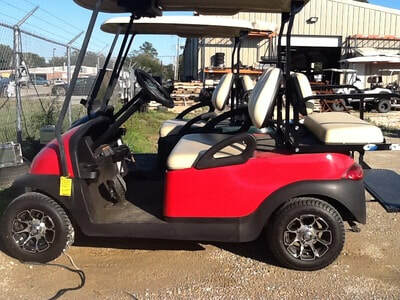 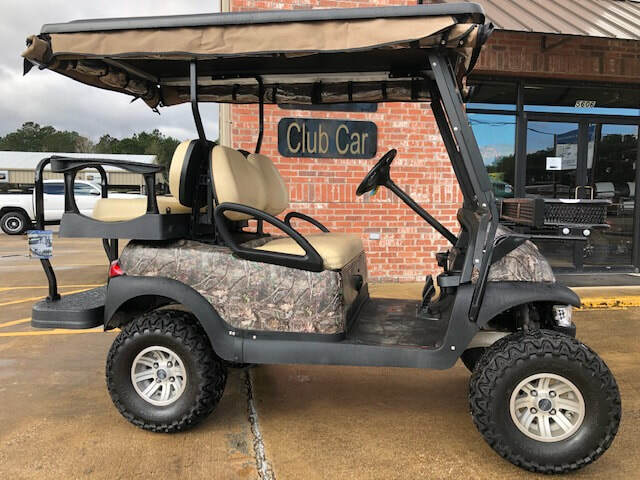 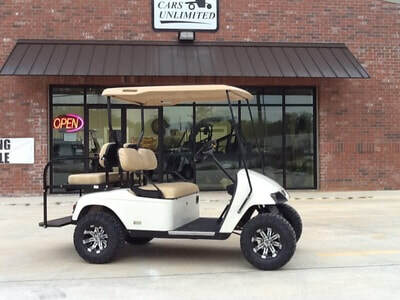 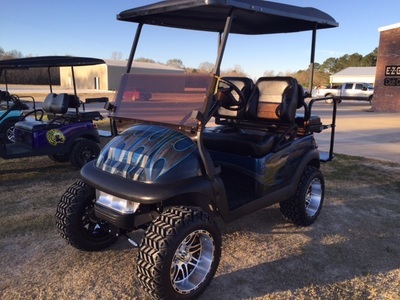 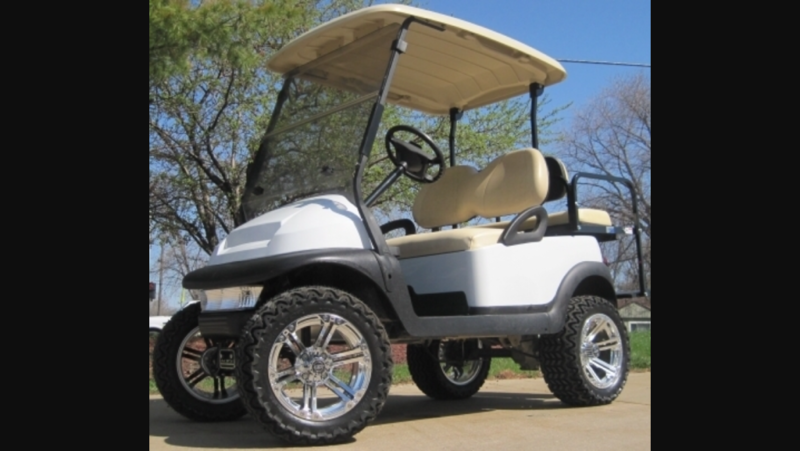 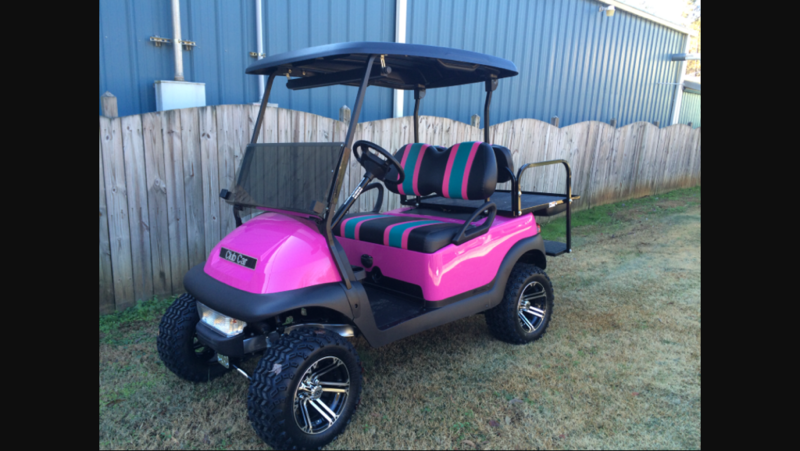 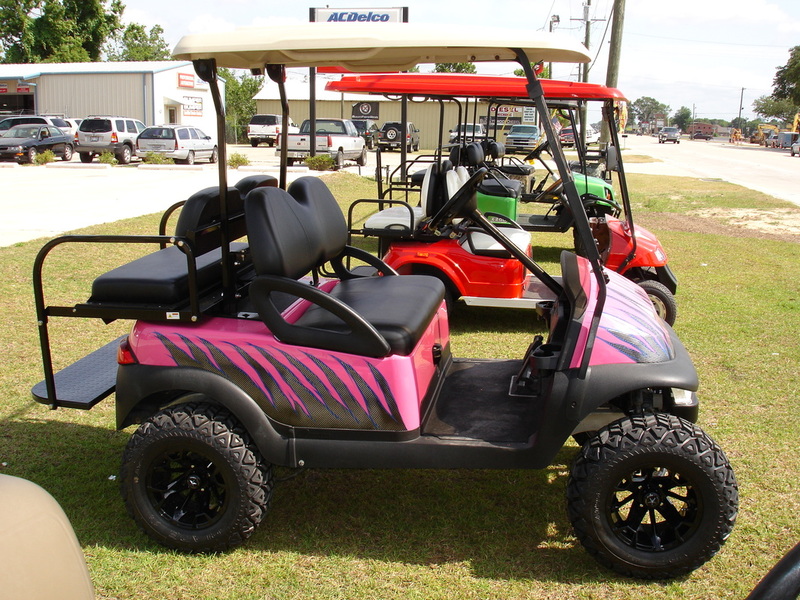 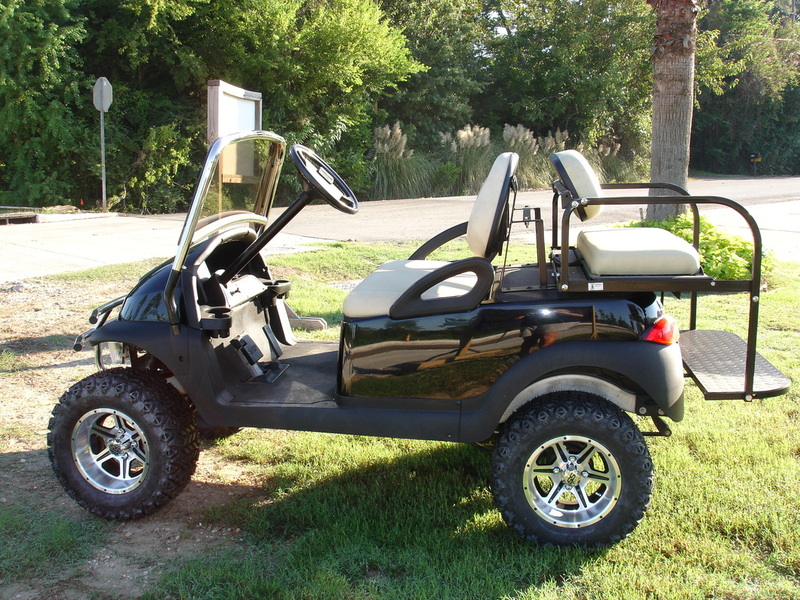 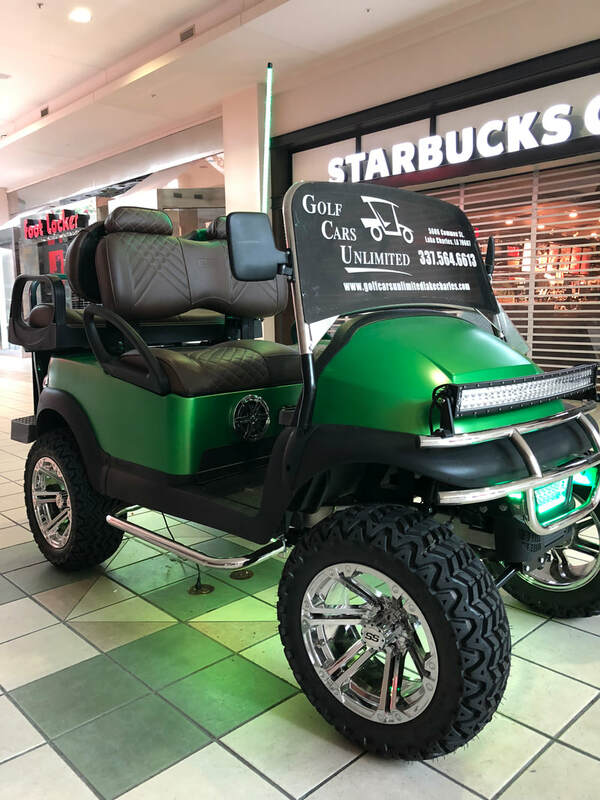 Custom golf carts - GOLF CARS UNLIMITED, LLC. Let us build a custom cart for you! 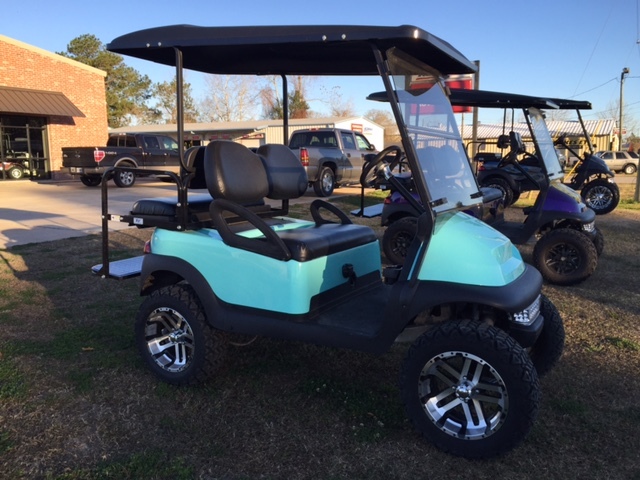 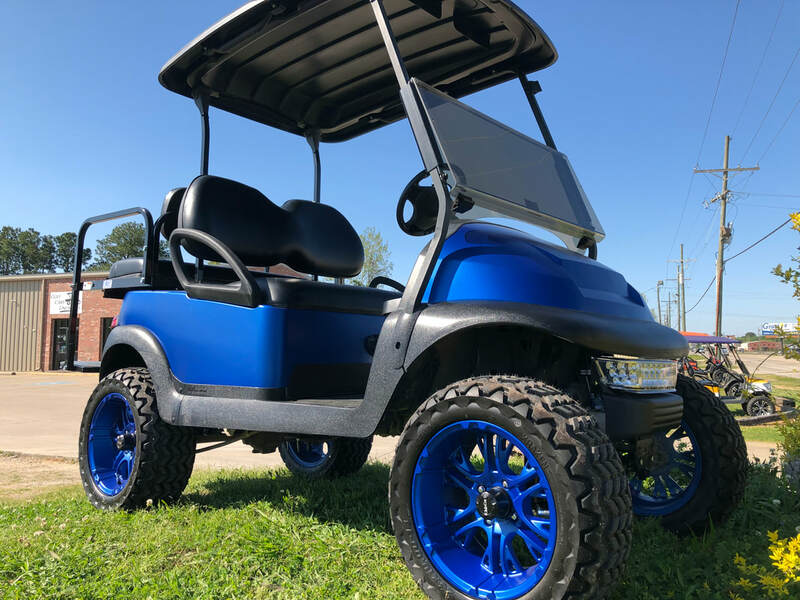 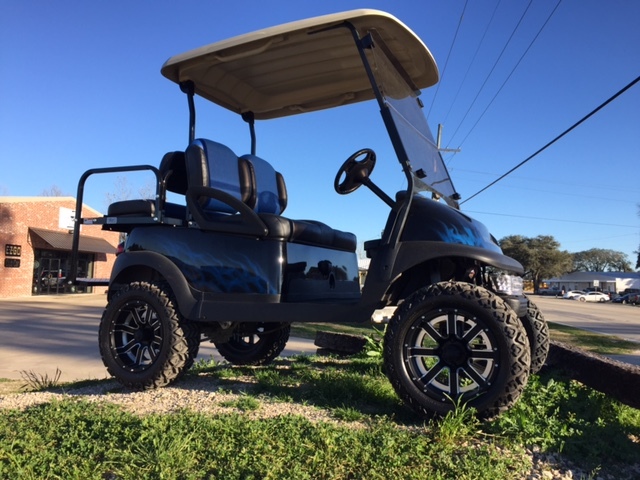 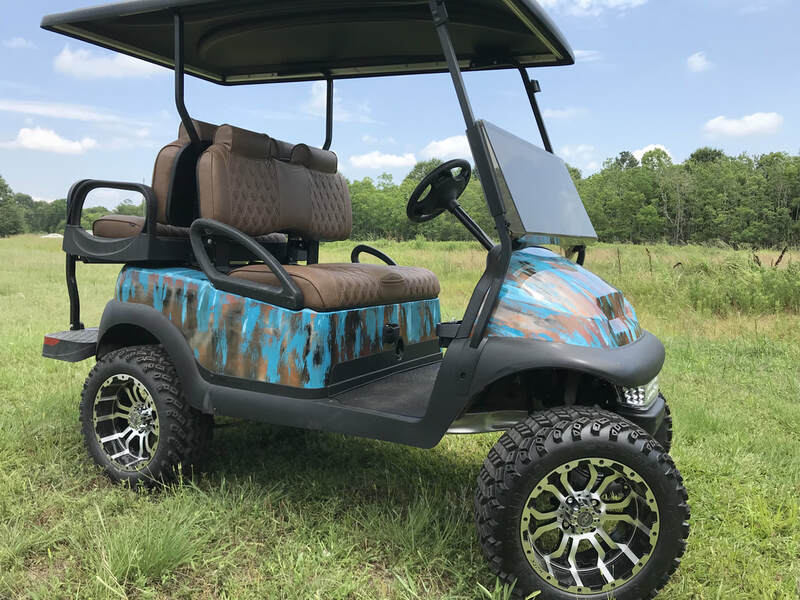 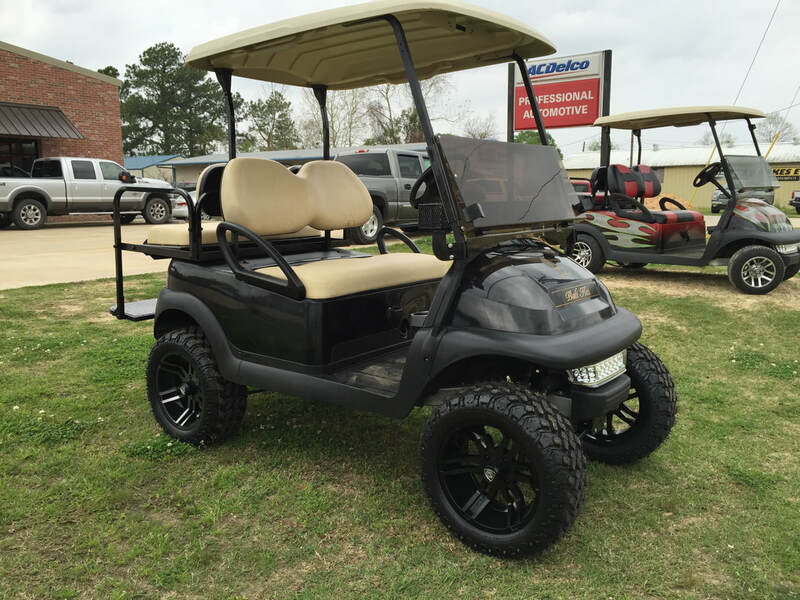 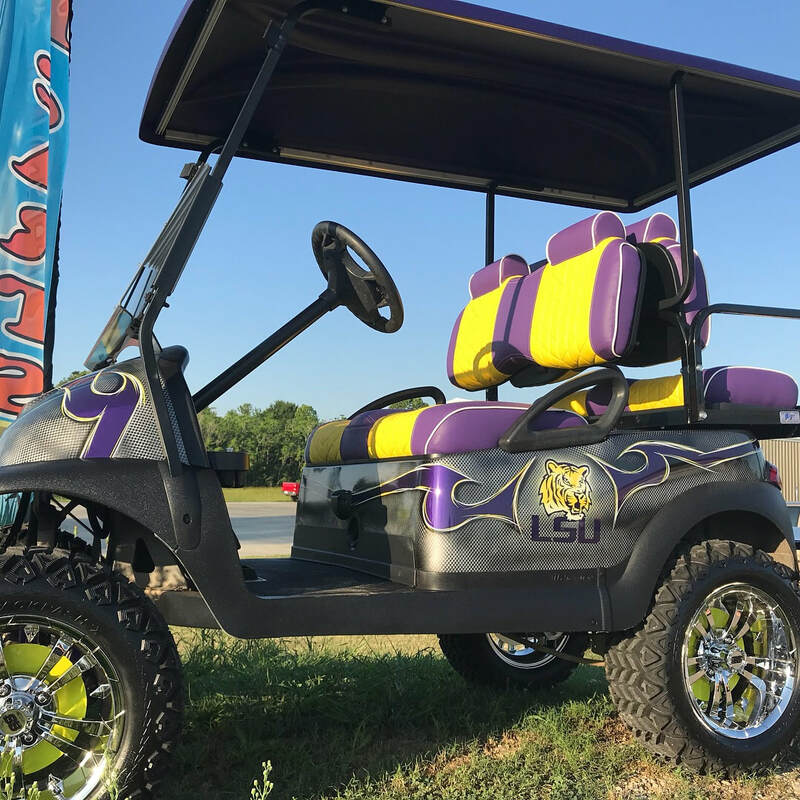 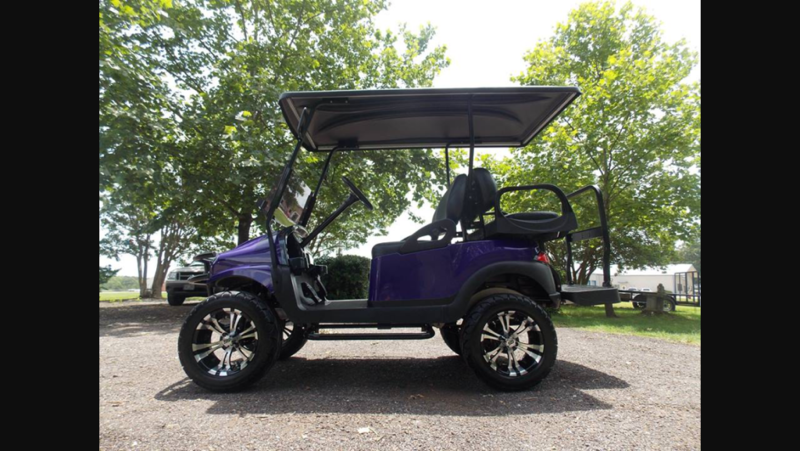 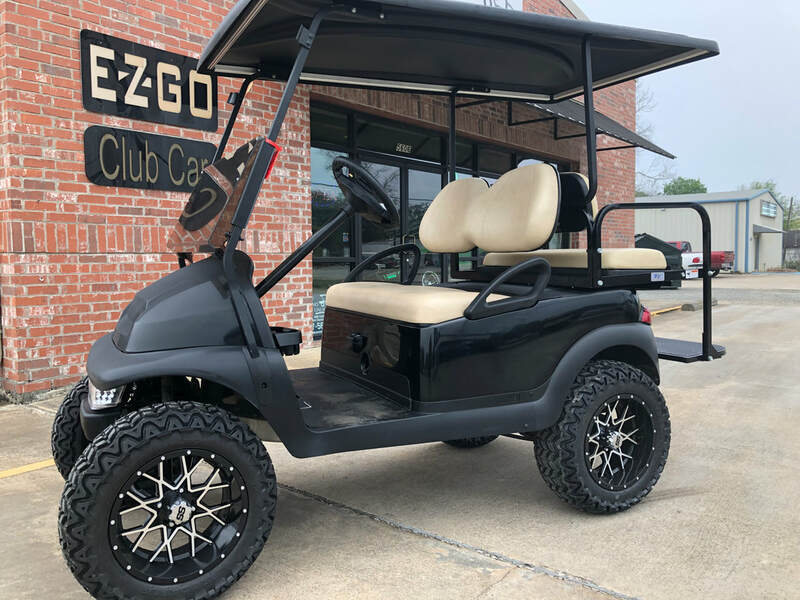 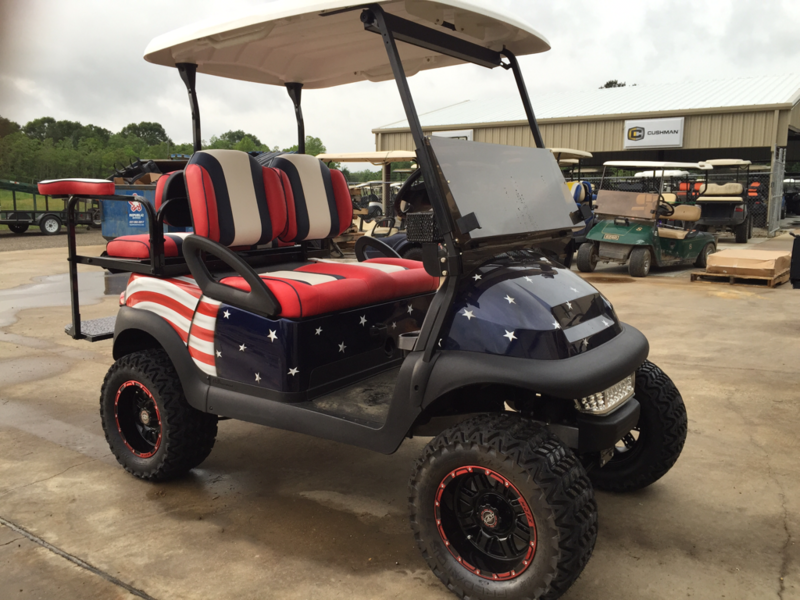 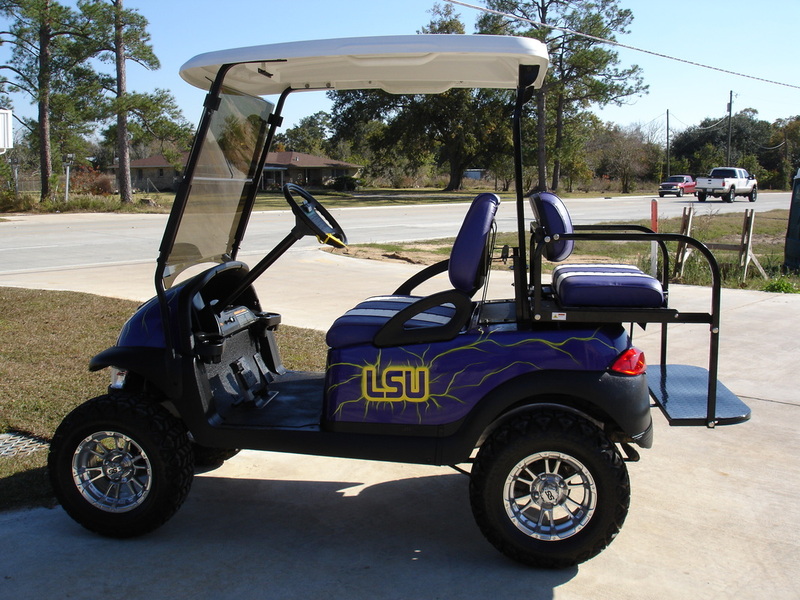 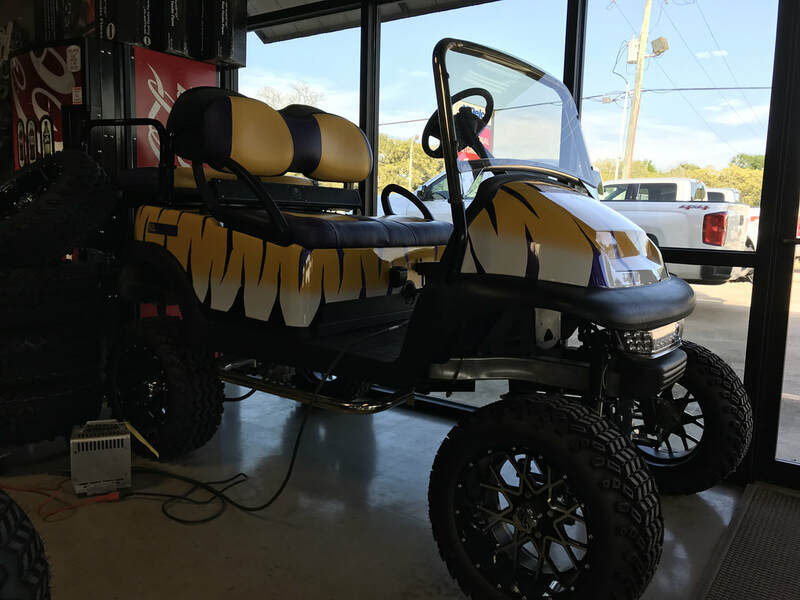 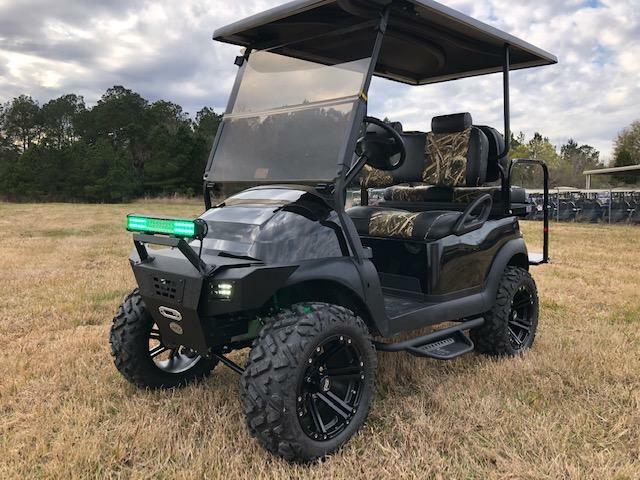 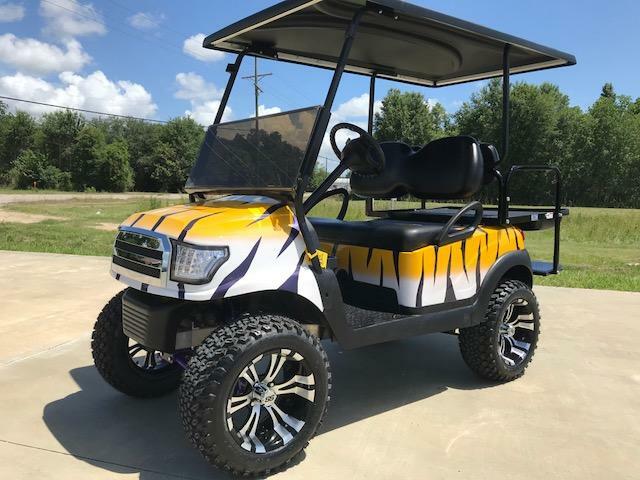 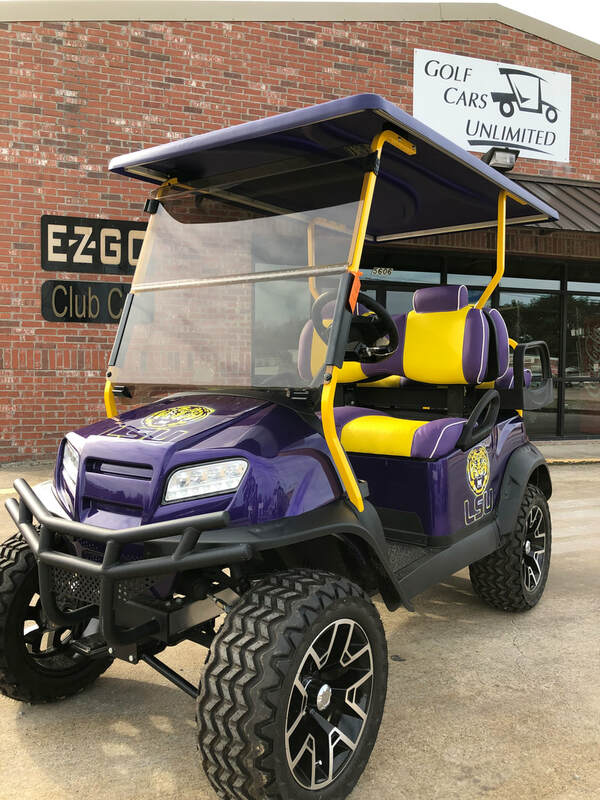 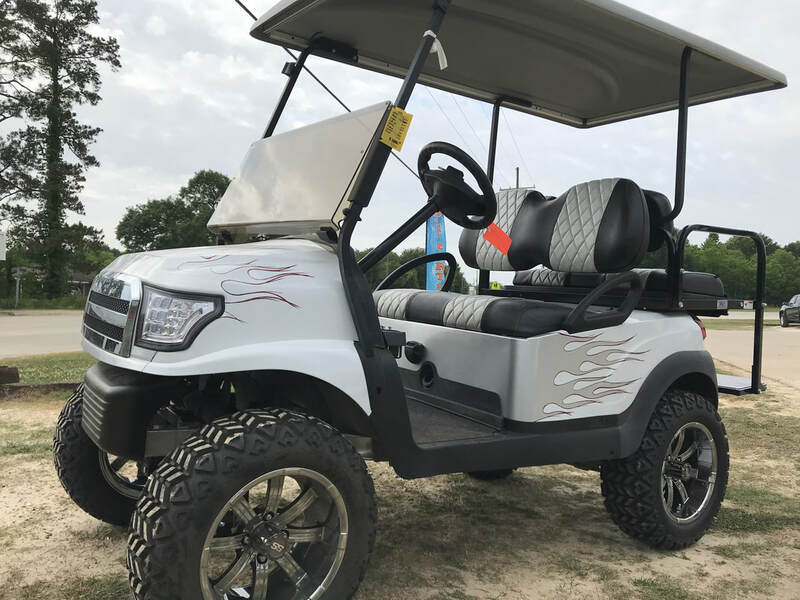 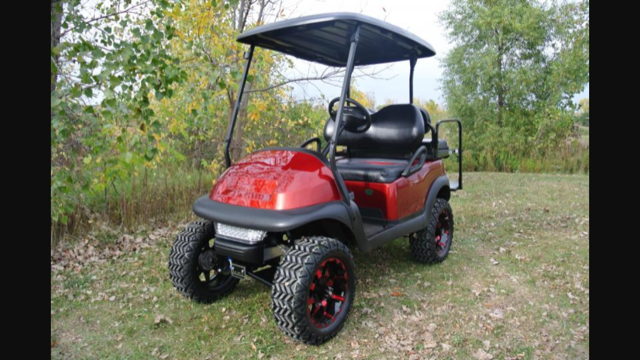 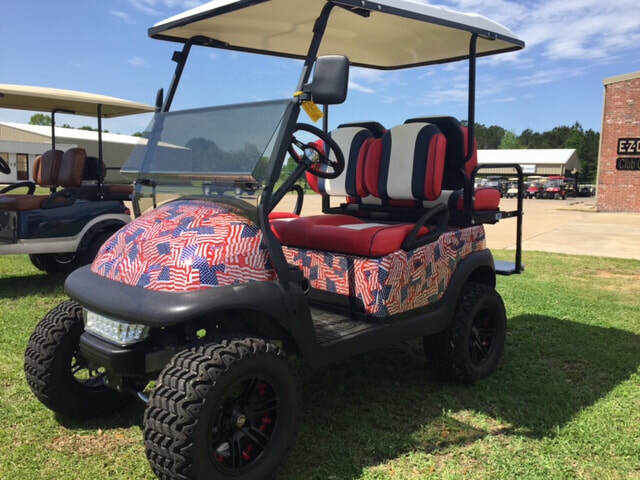 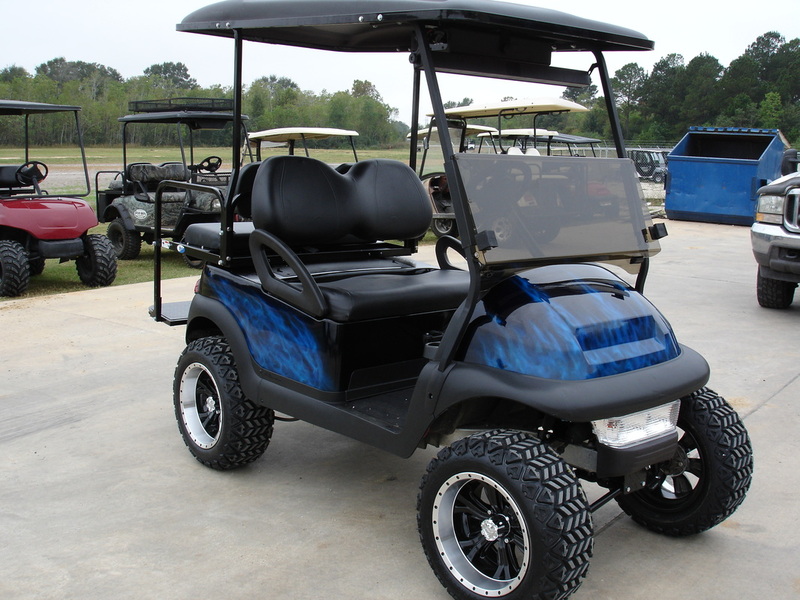 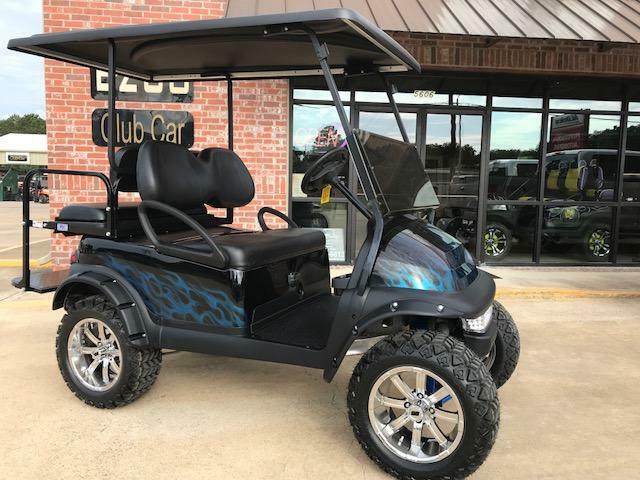 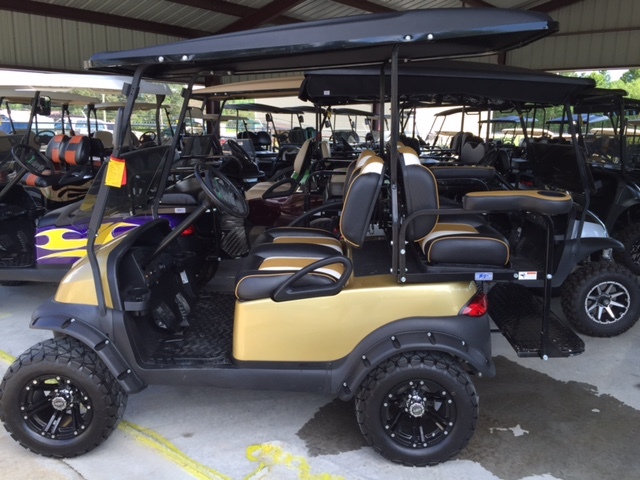 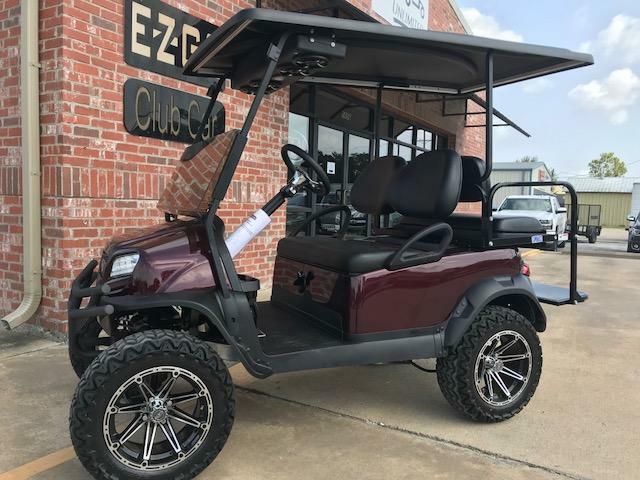 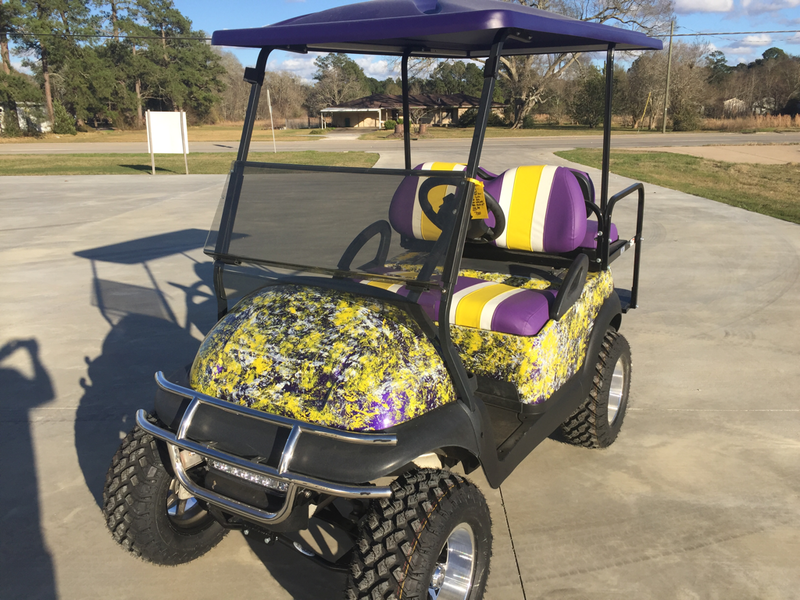 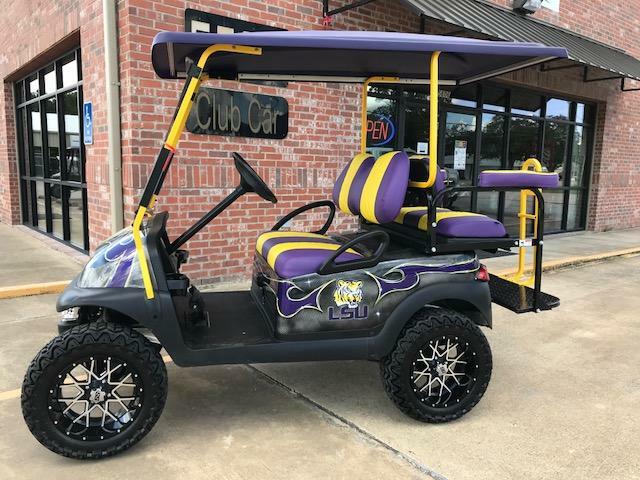 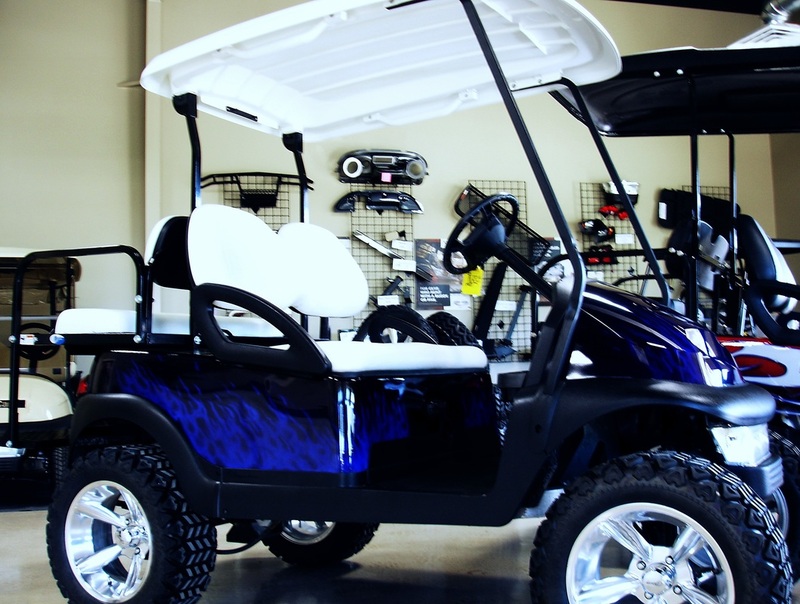 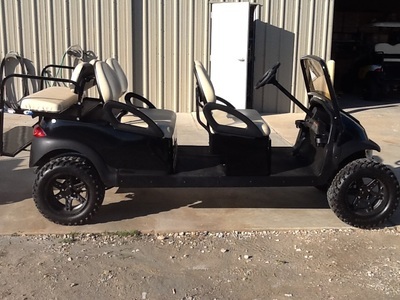 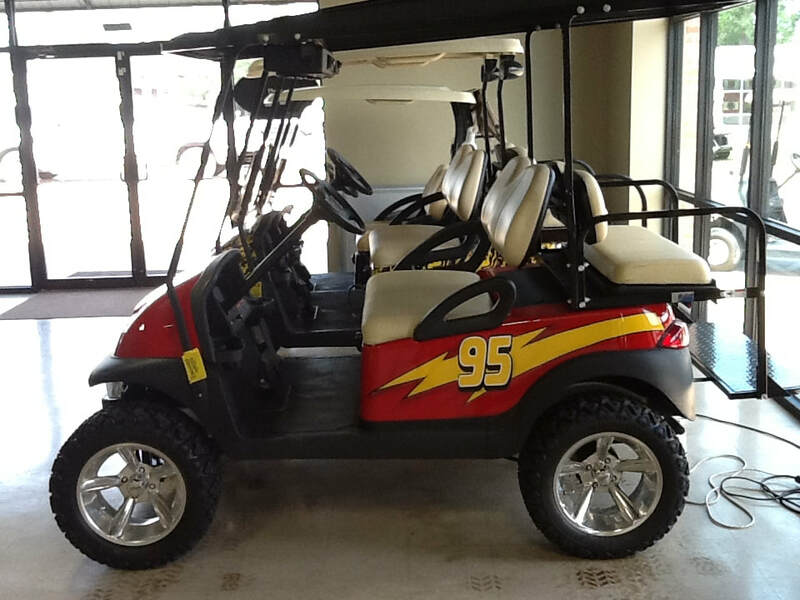 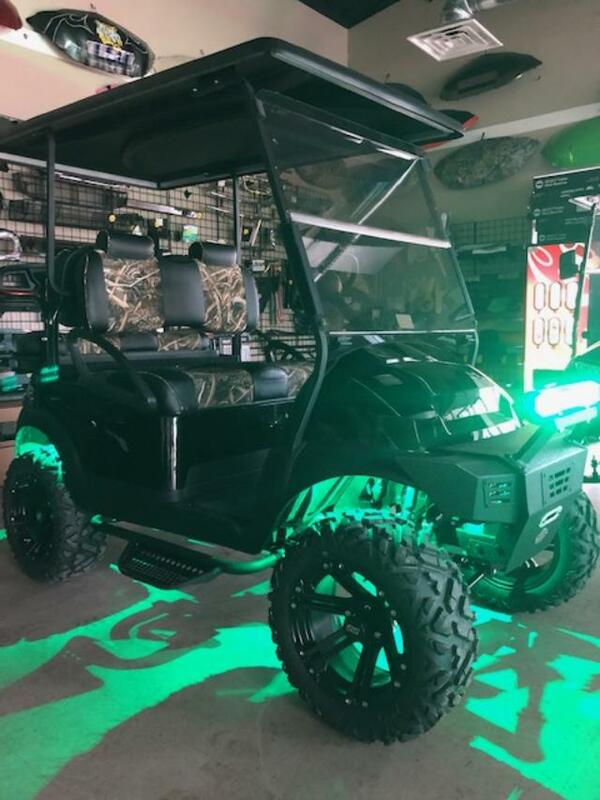 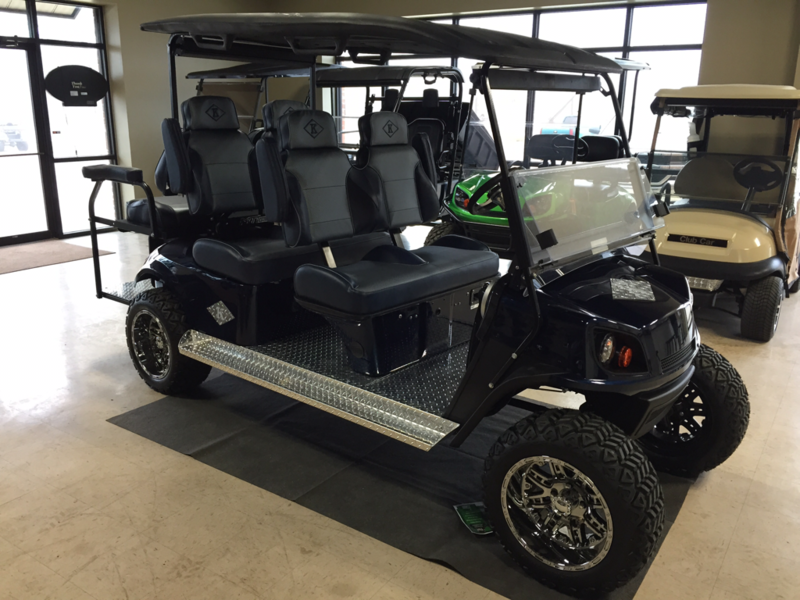 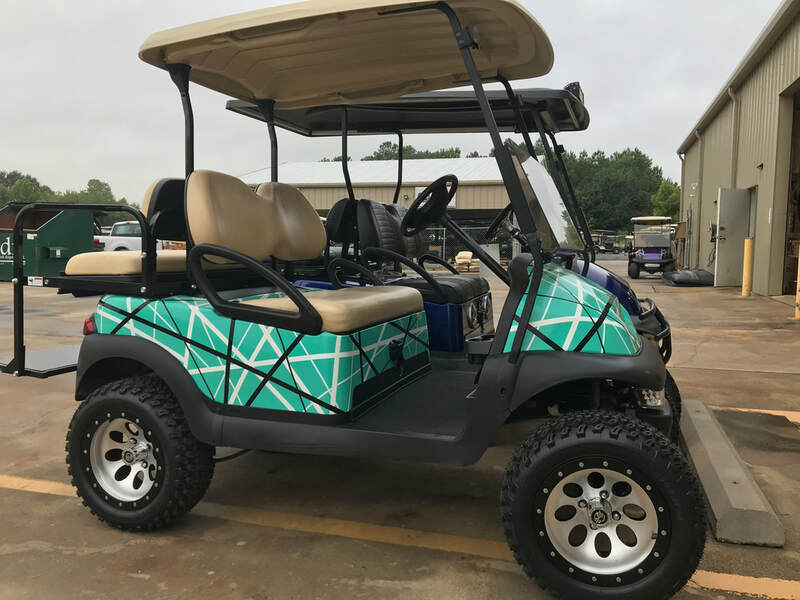 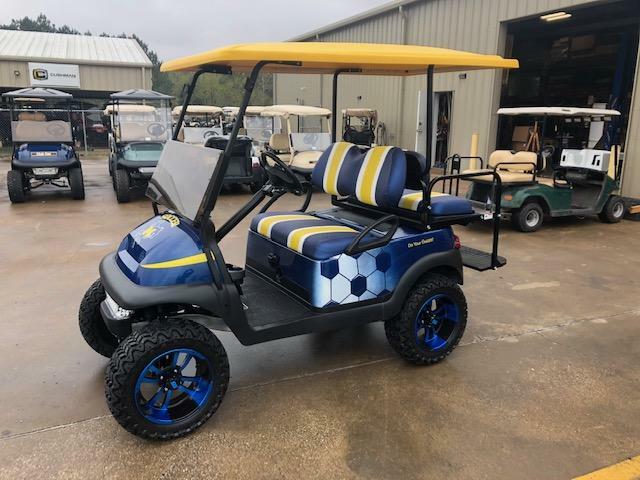 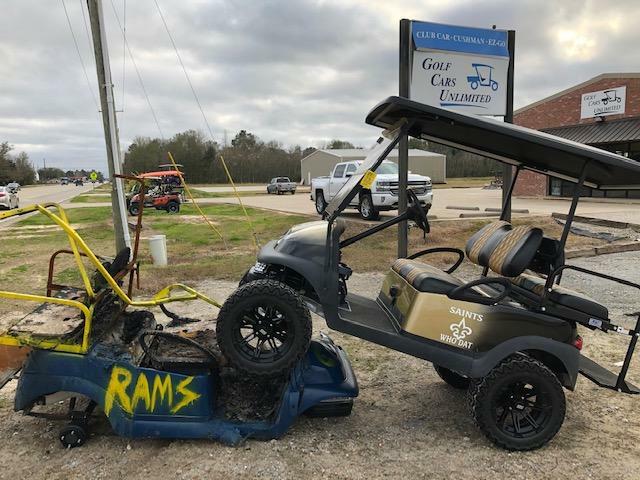 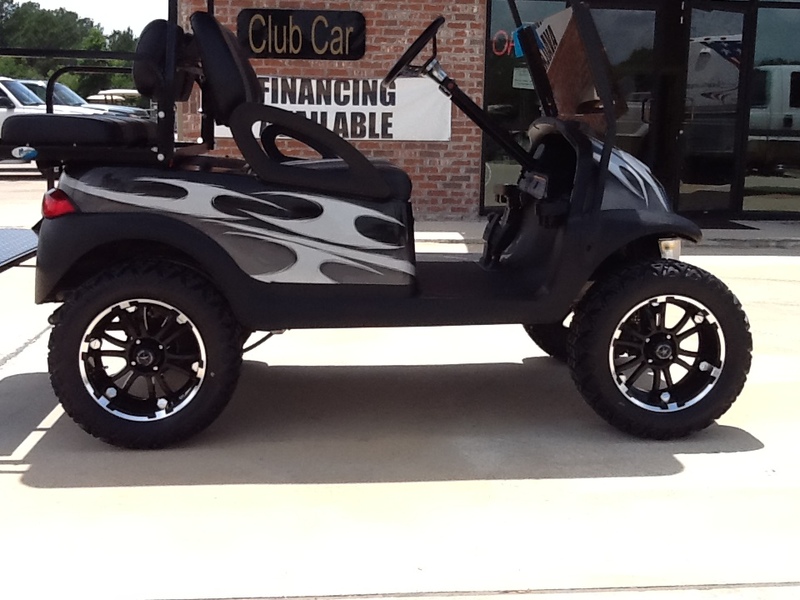 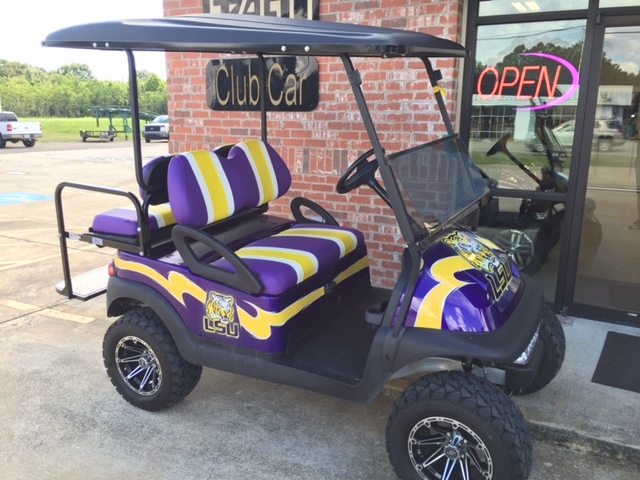 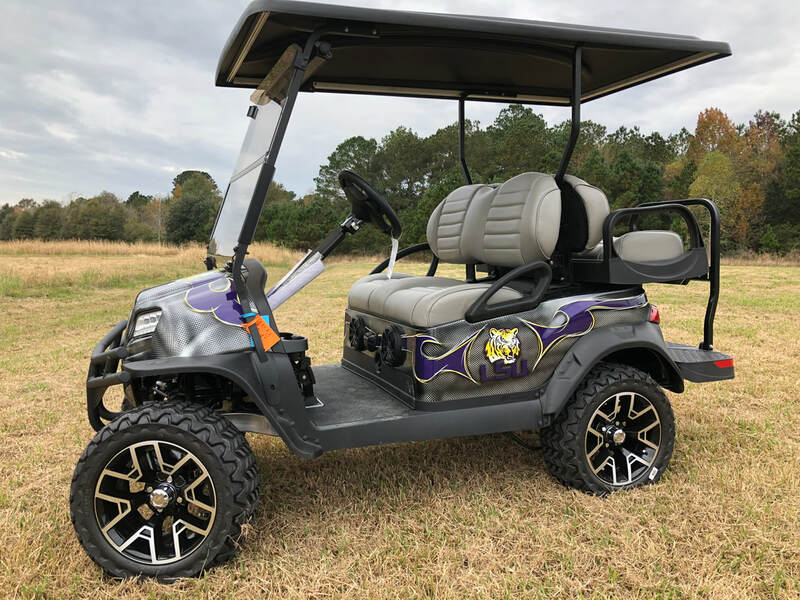 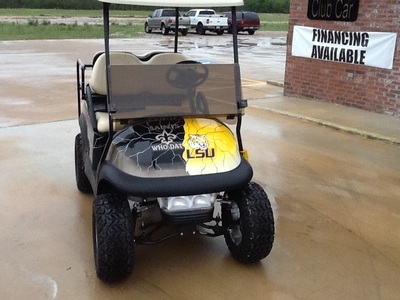 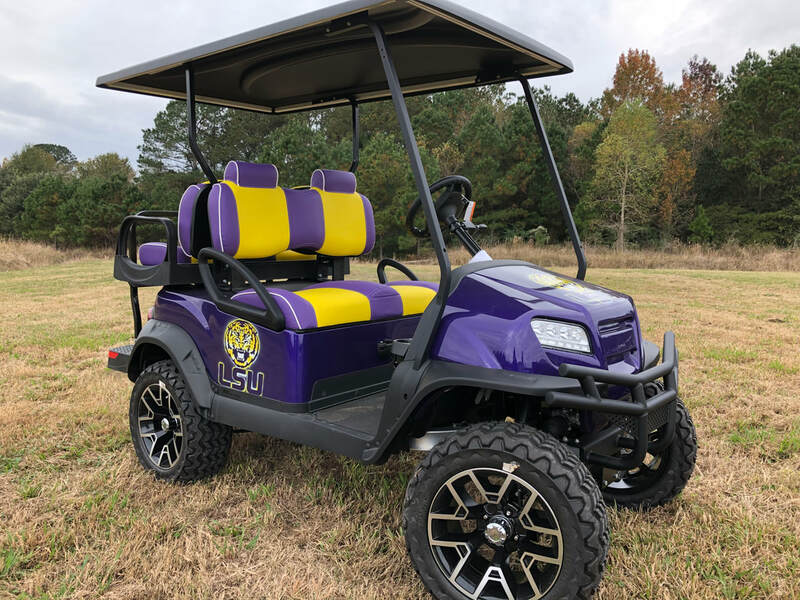 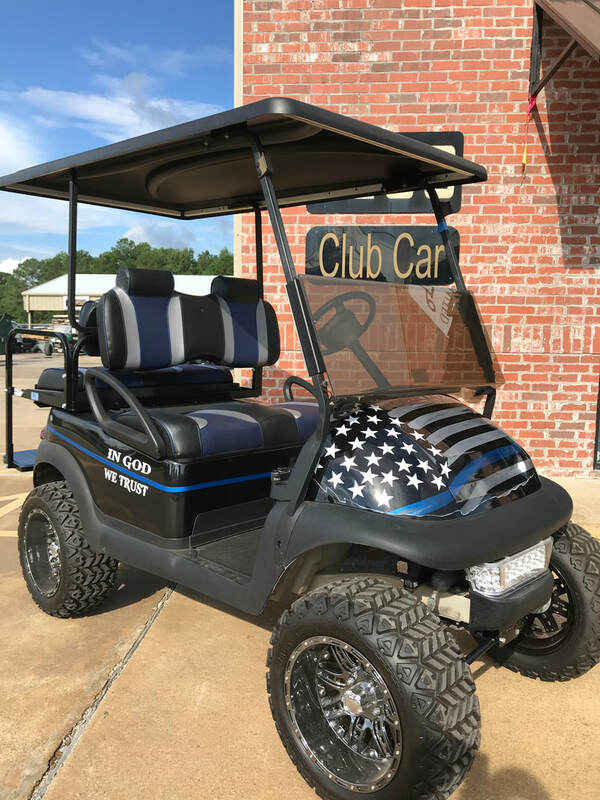 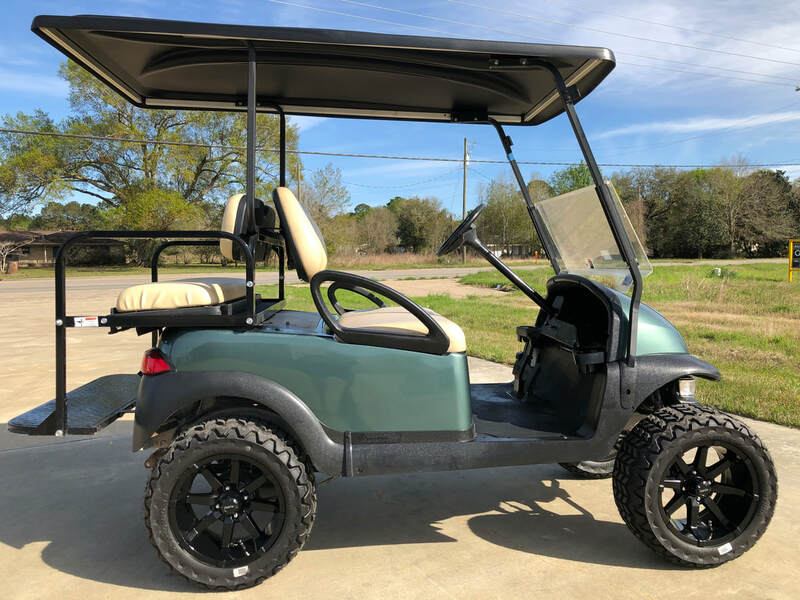 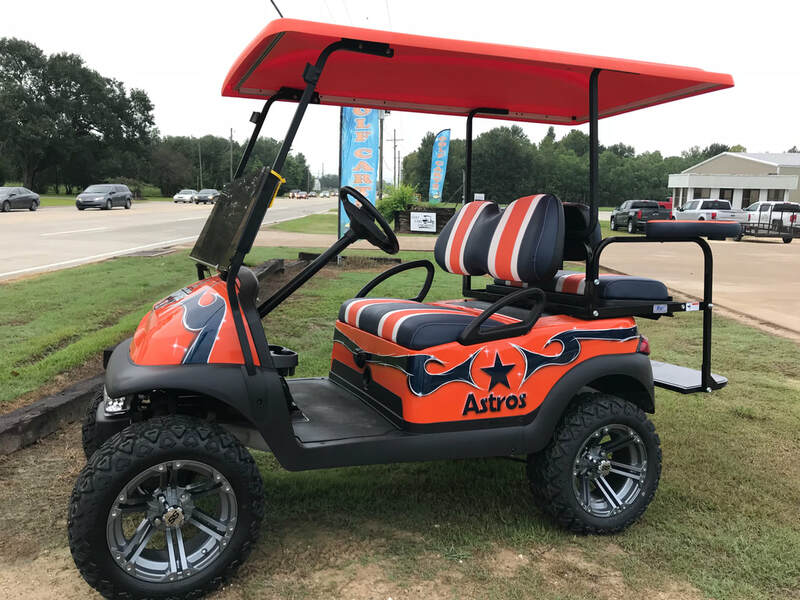 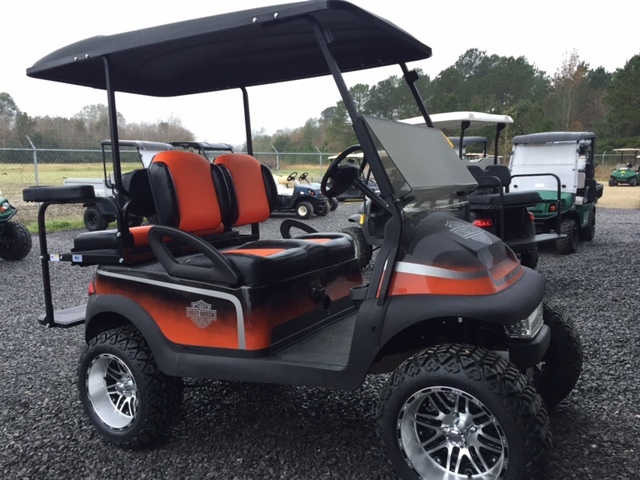 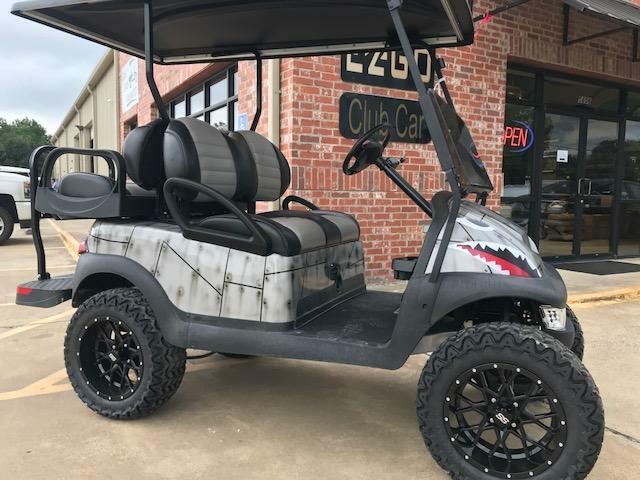 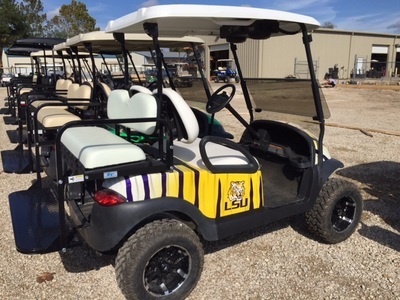 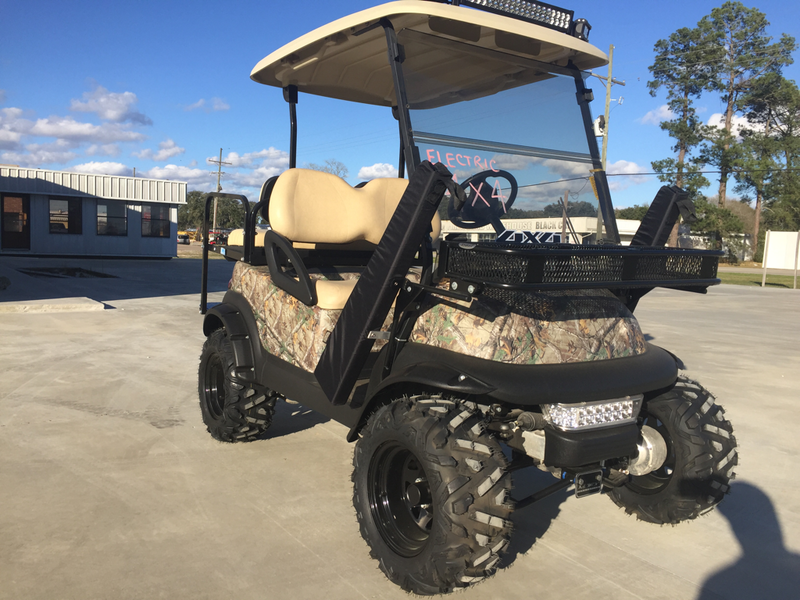 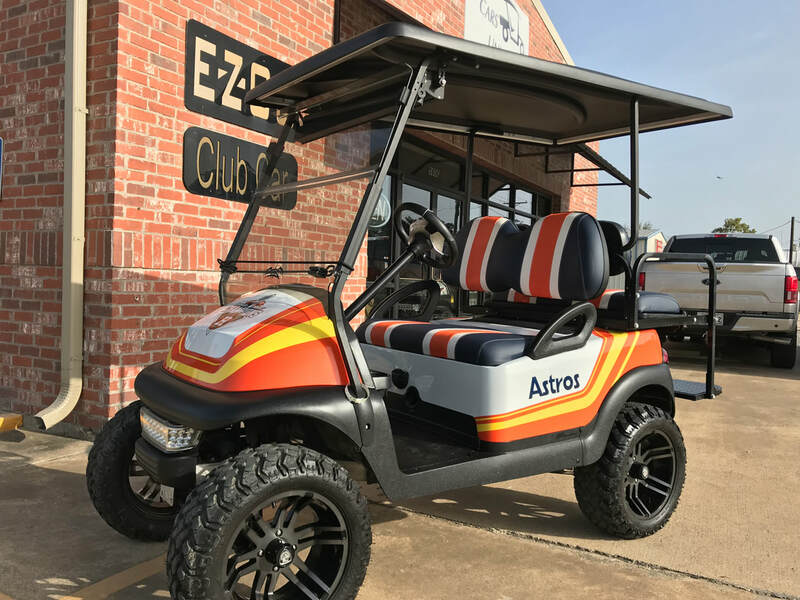 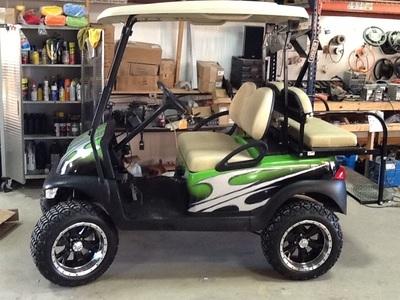 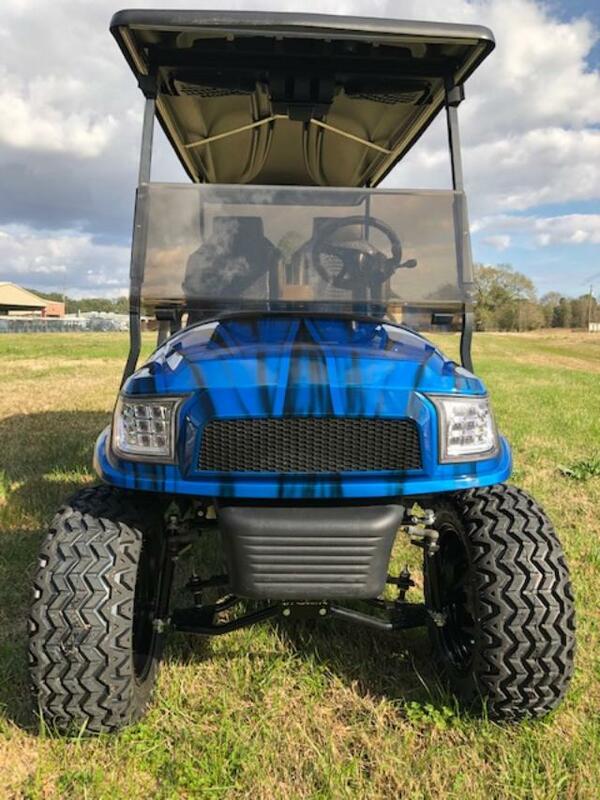 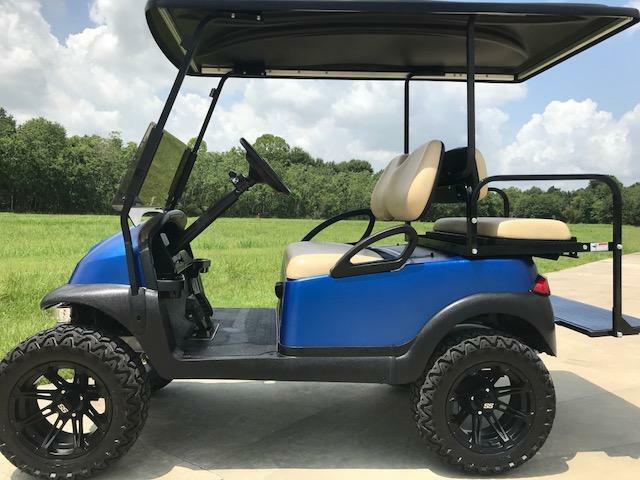 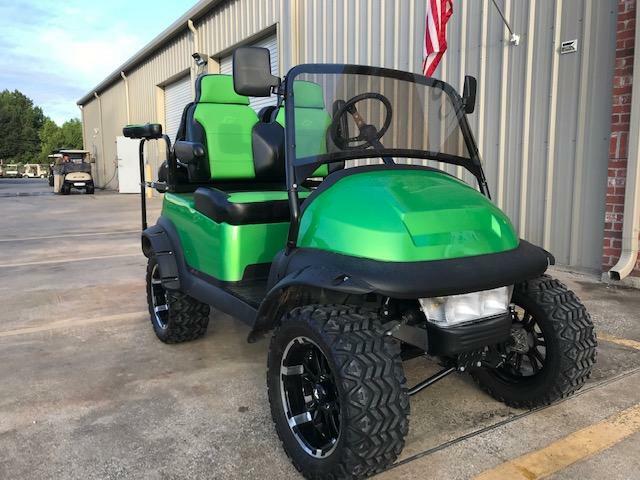 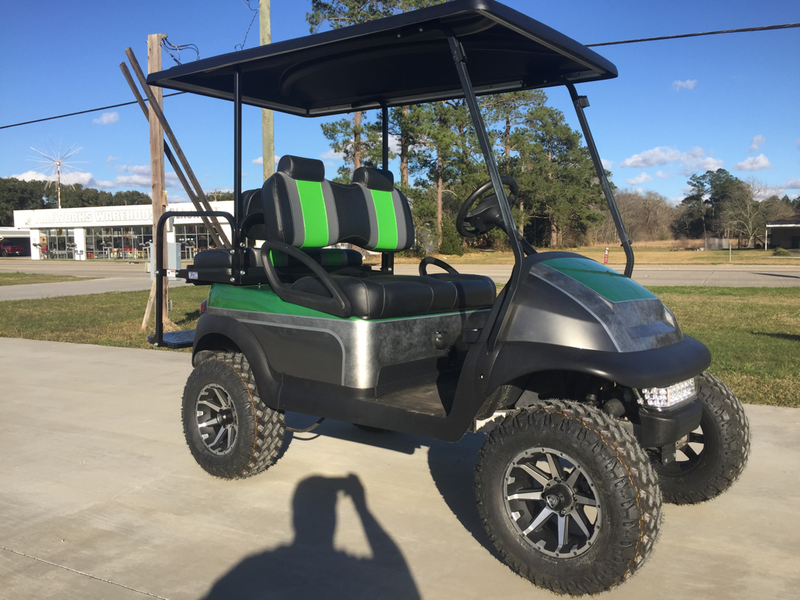 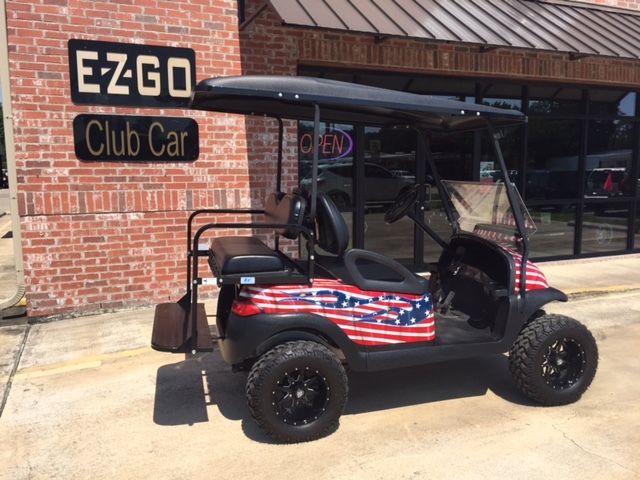 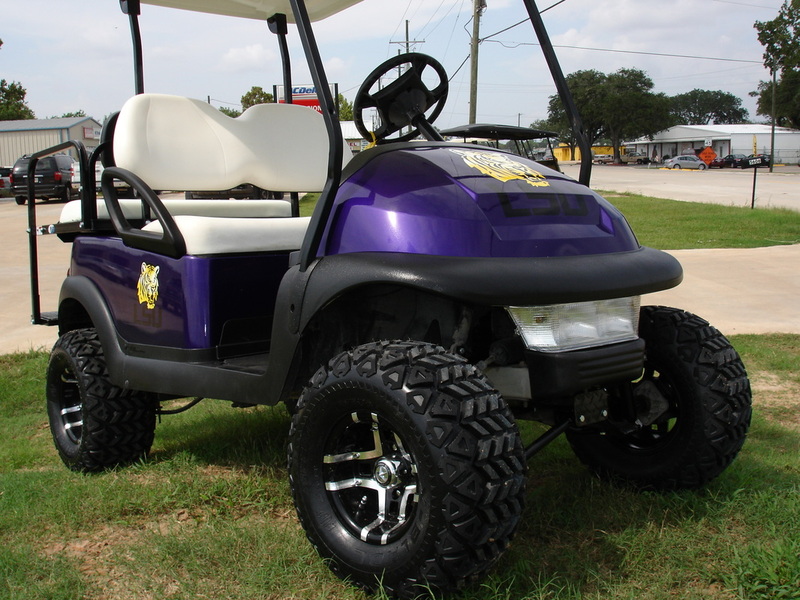 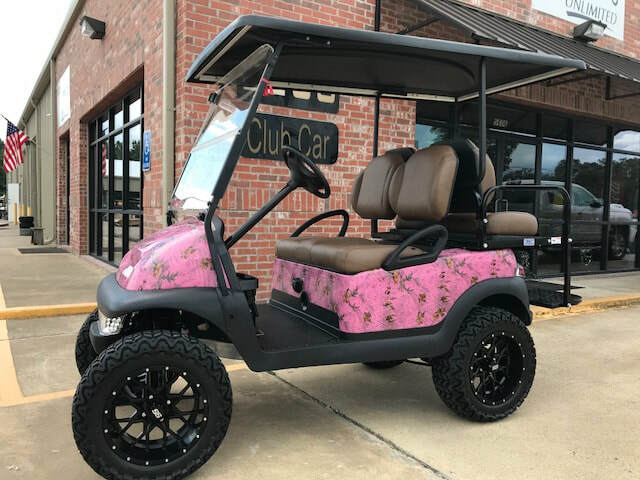 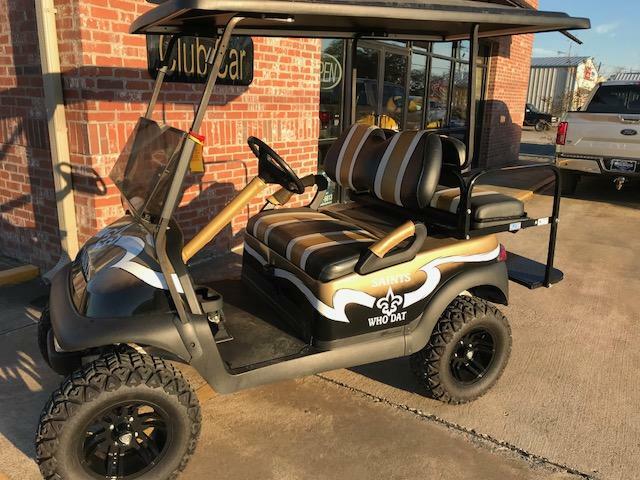 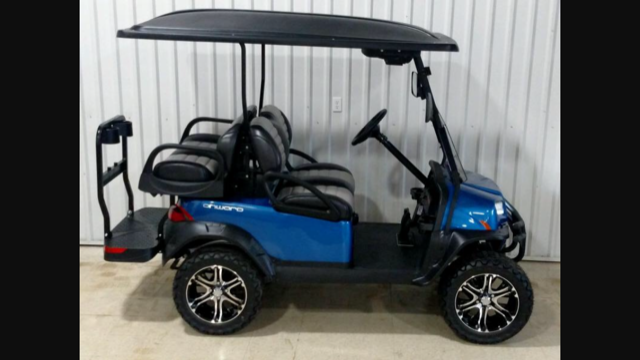 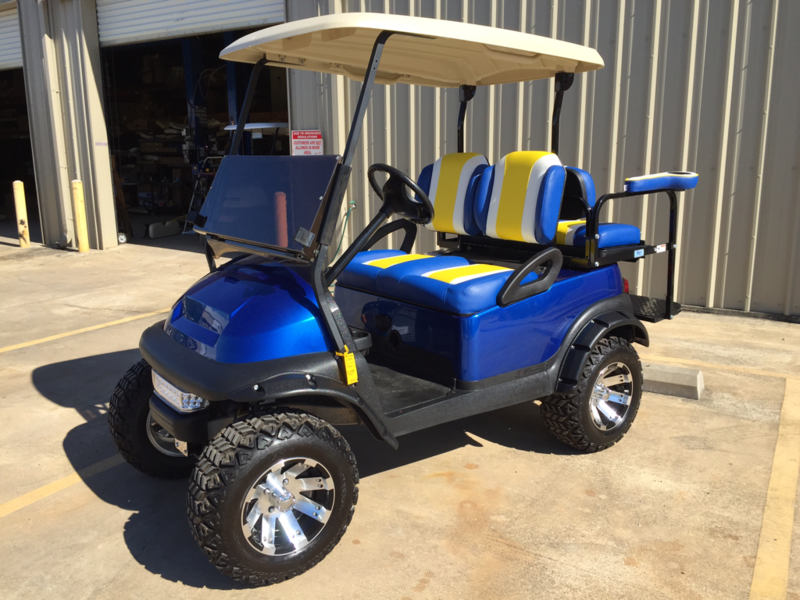 If you’re looking for a custom-built golf cart, the search has ended. 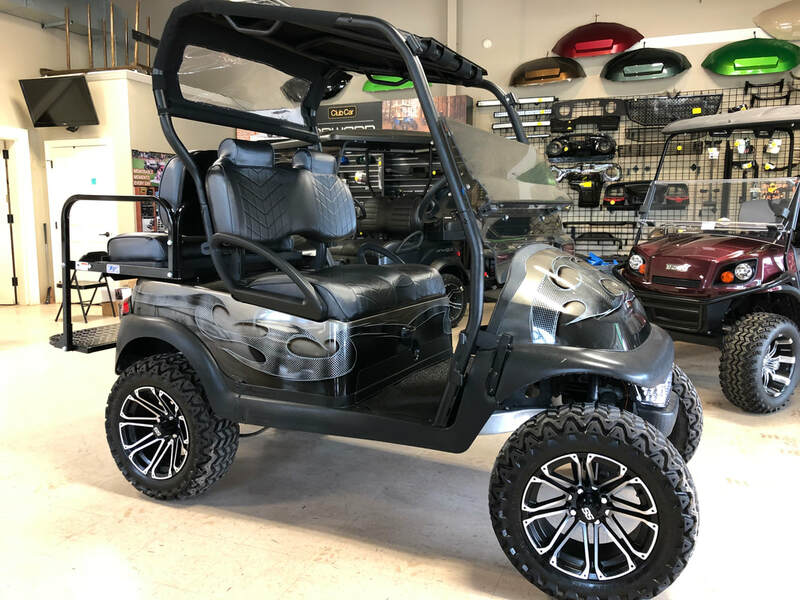 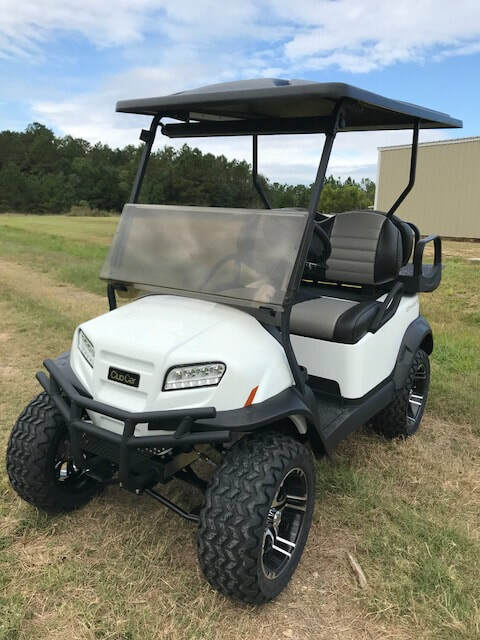 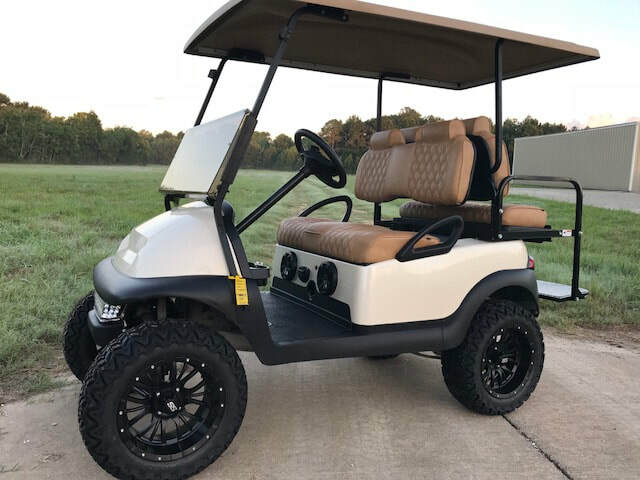 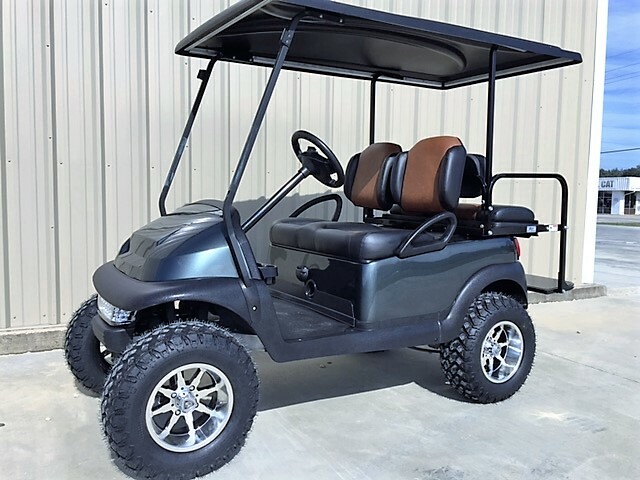 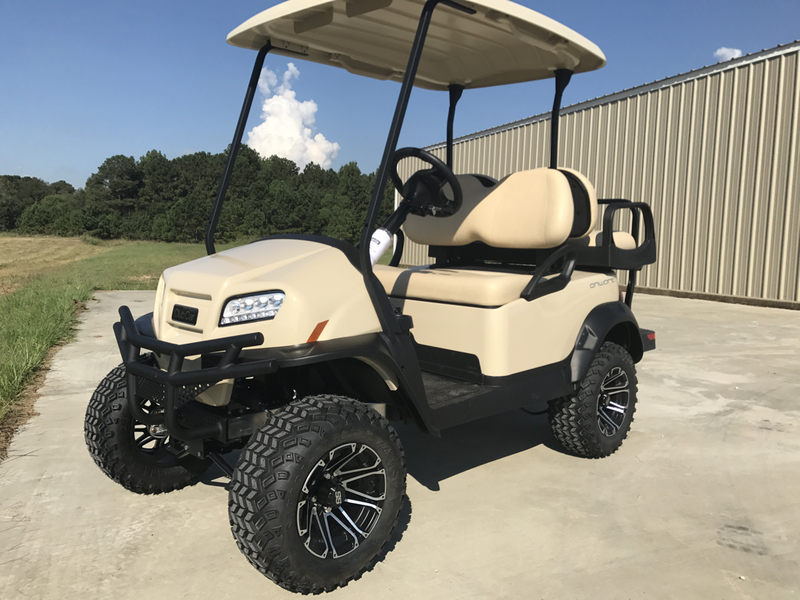 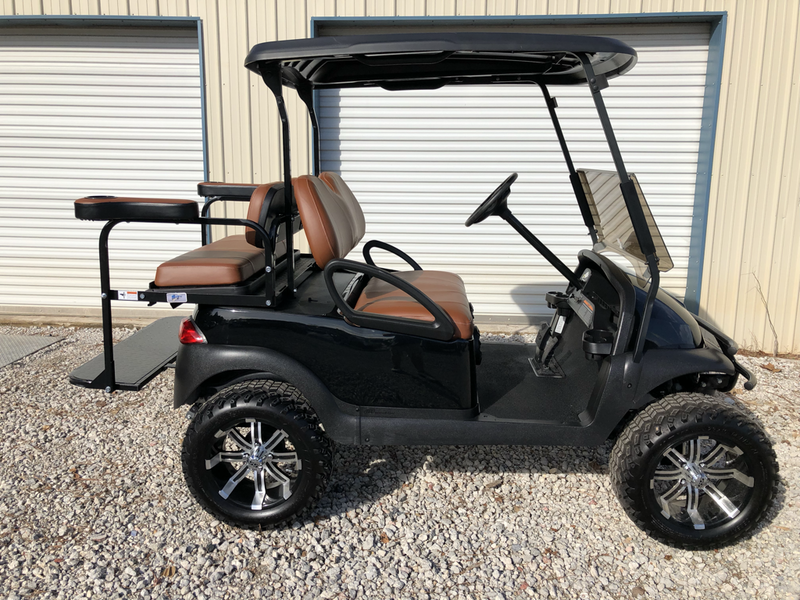 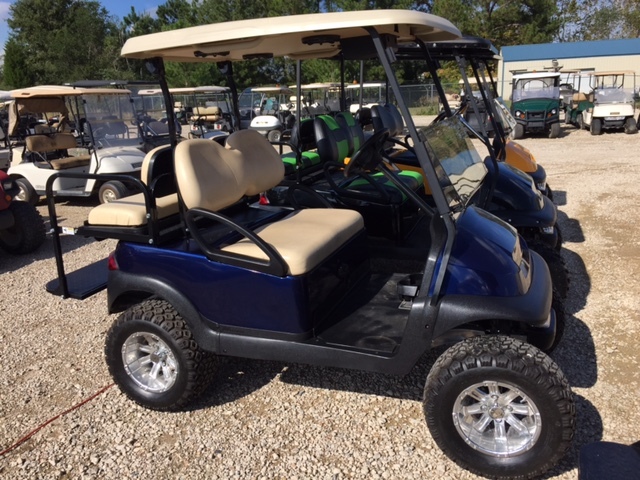 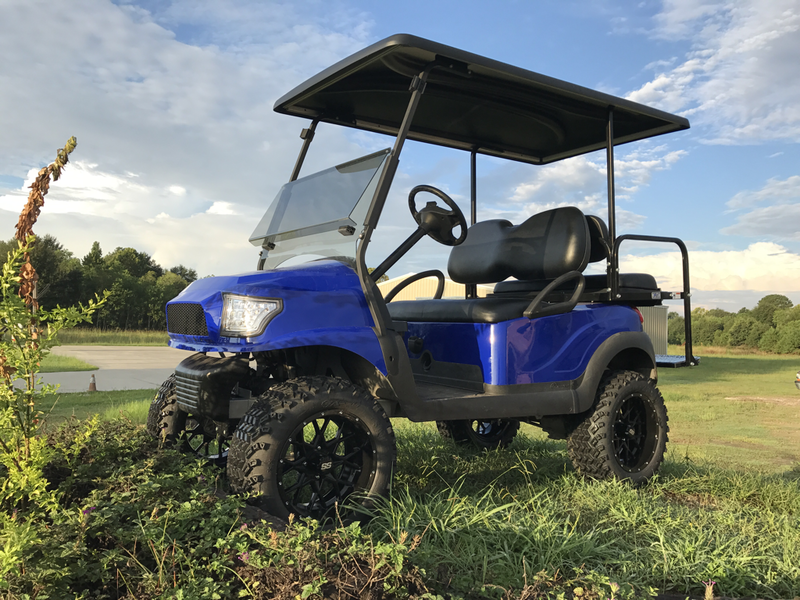 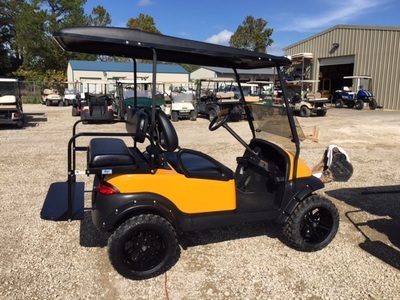 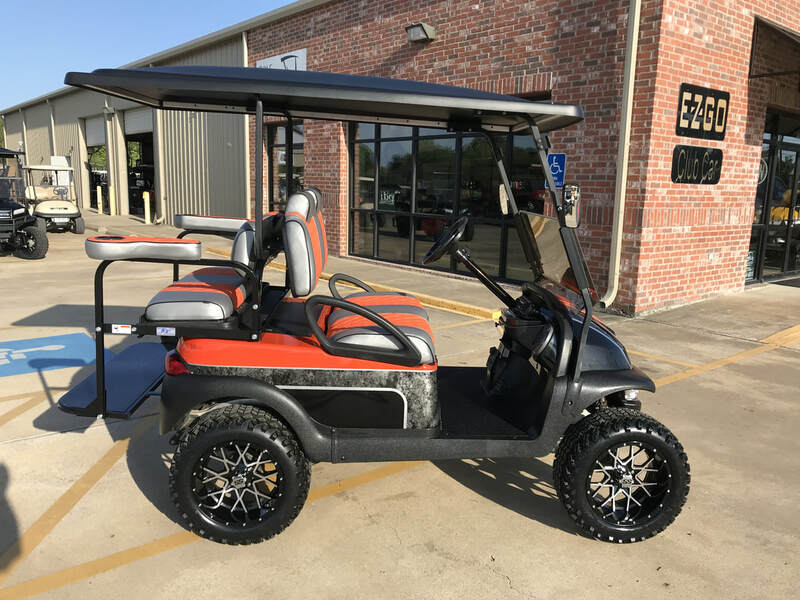 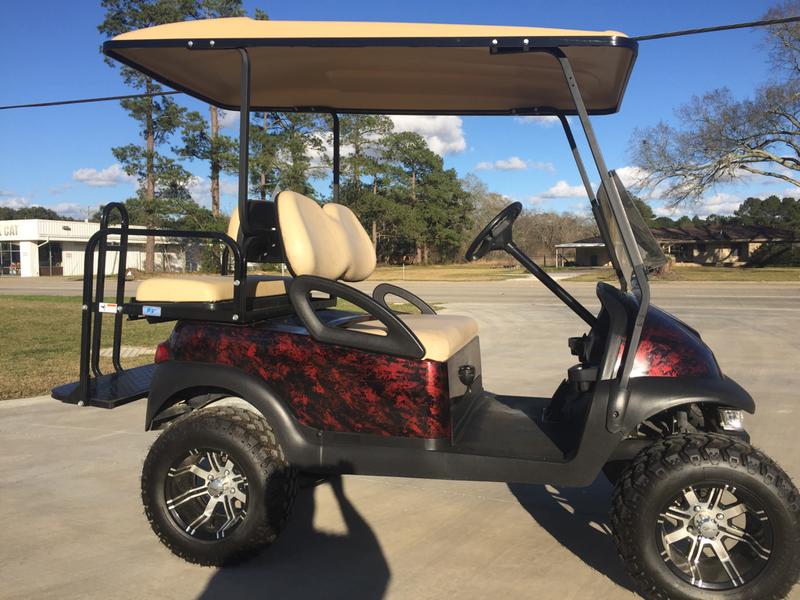 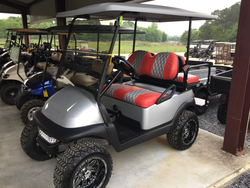 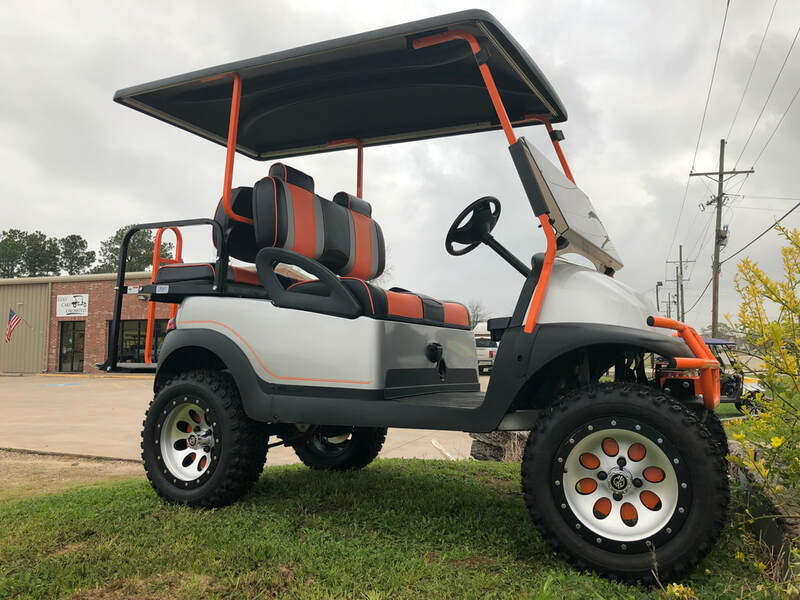 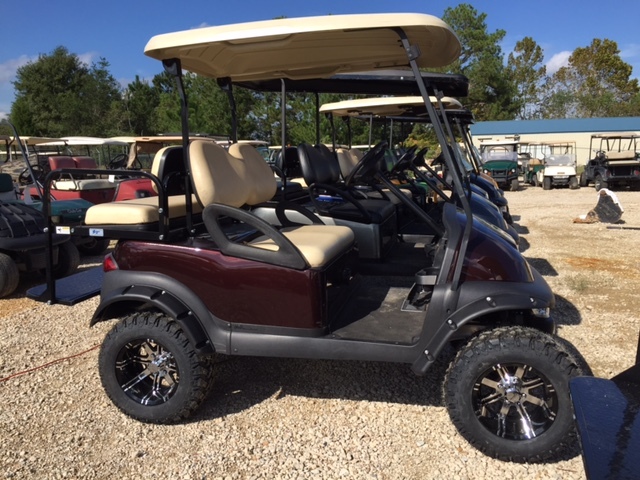 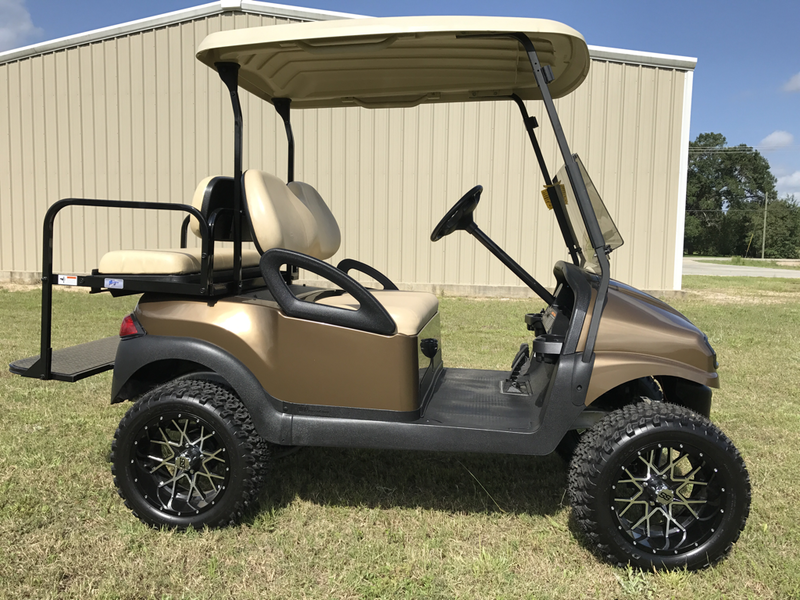 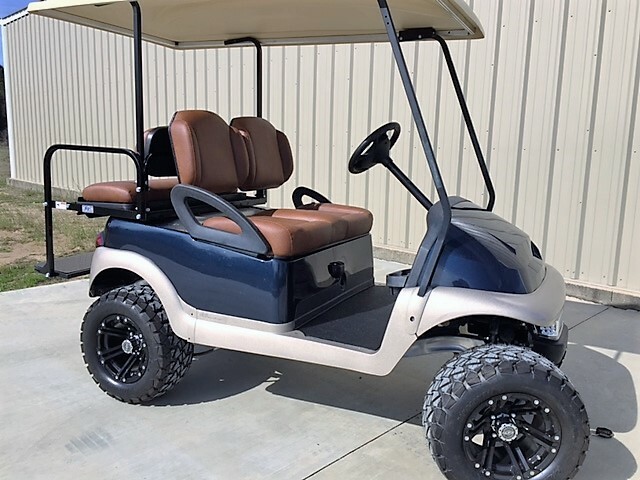 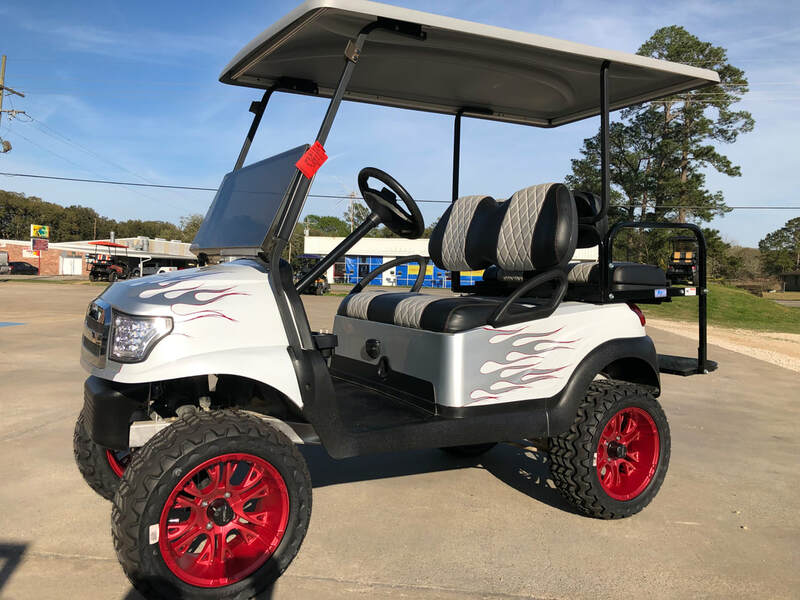 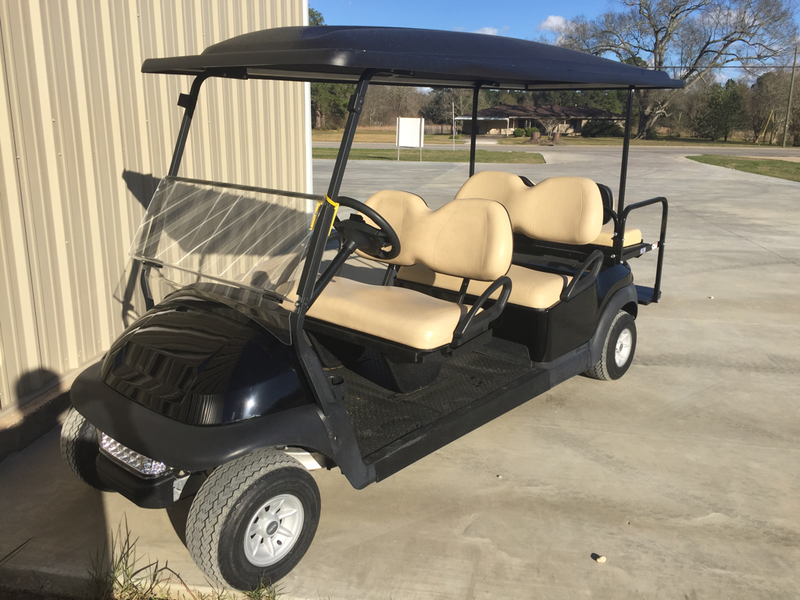 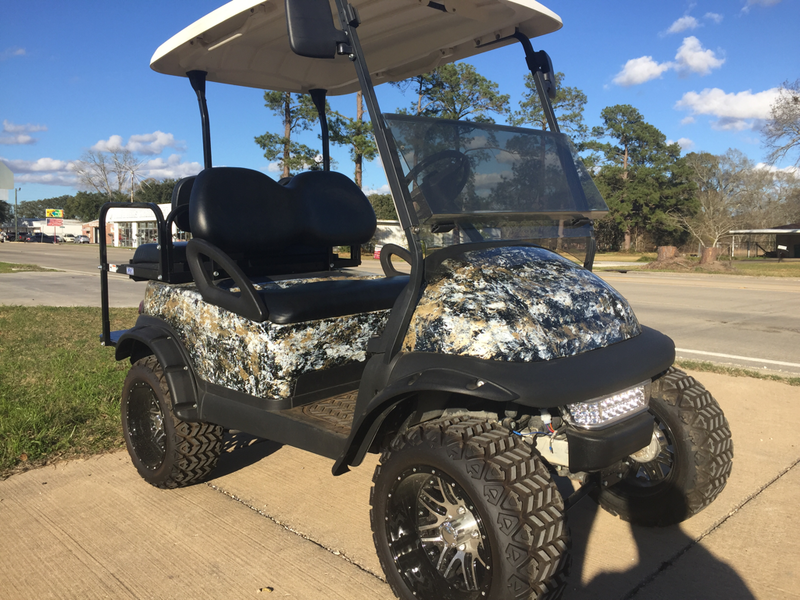 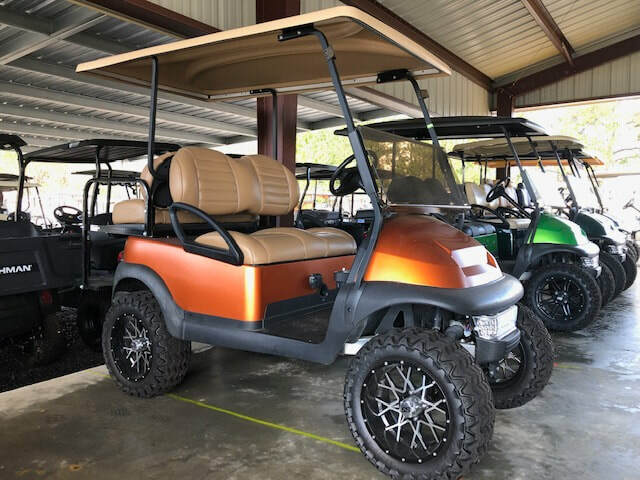 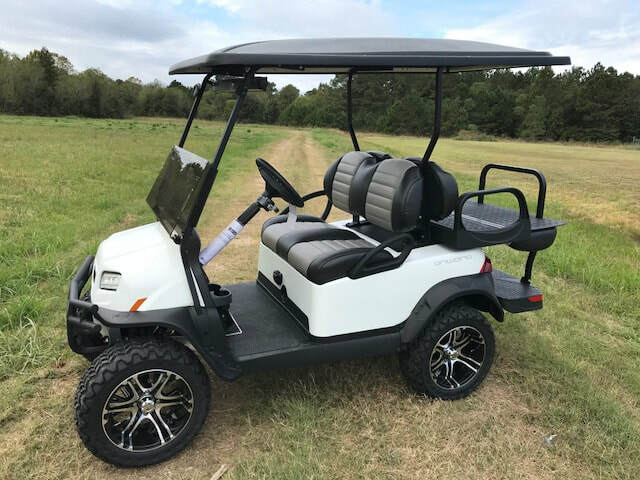 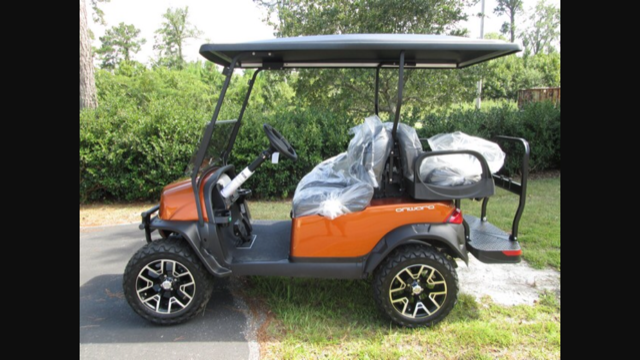 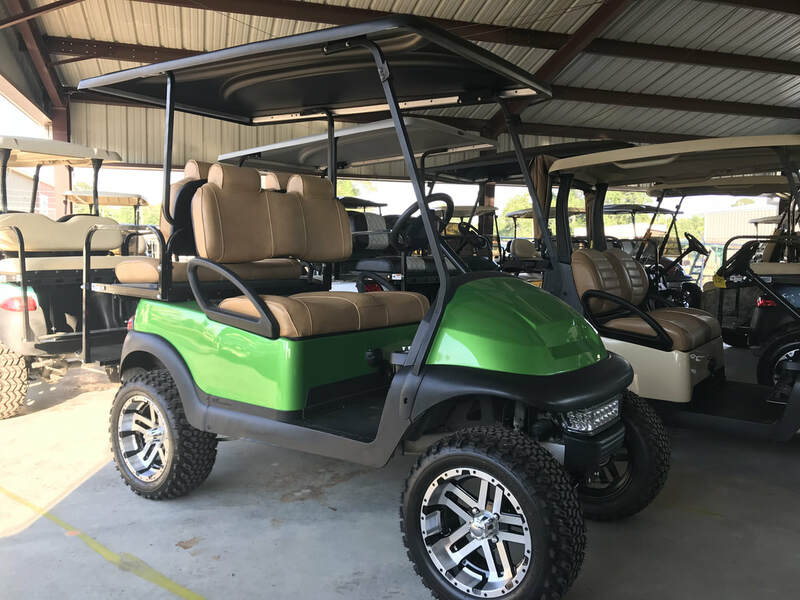 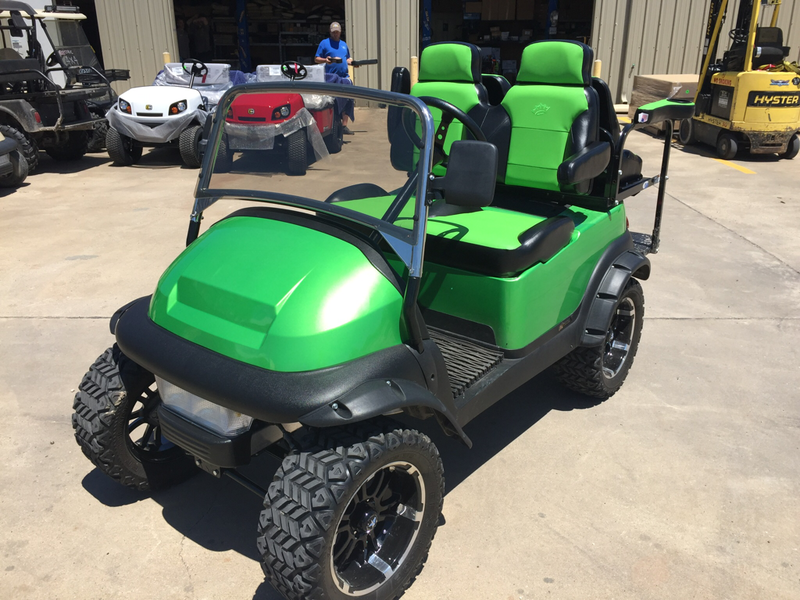 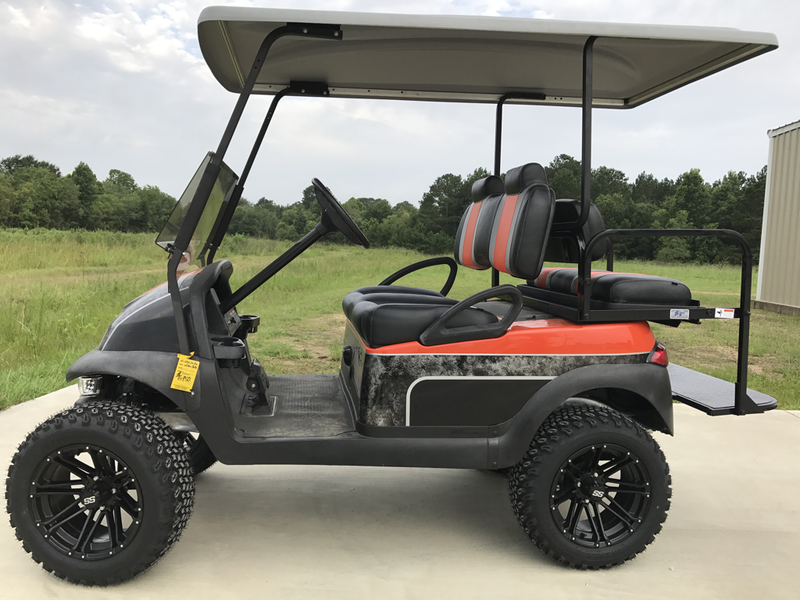 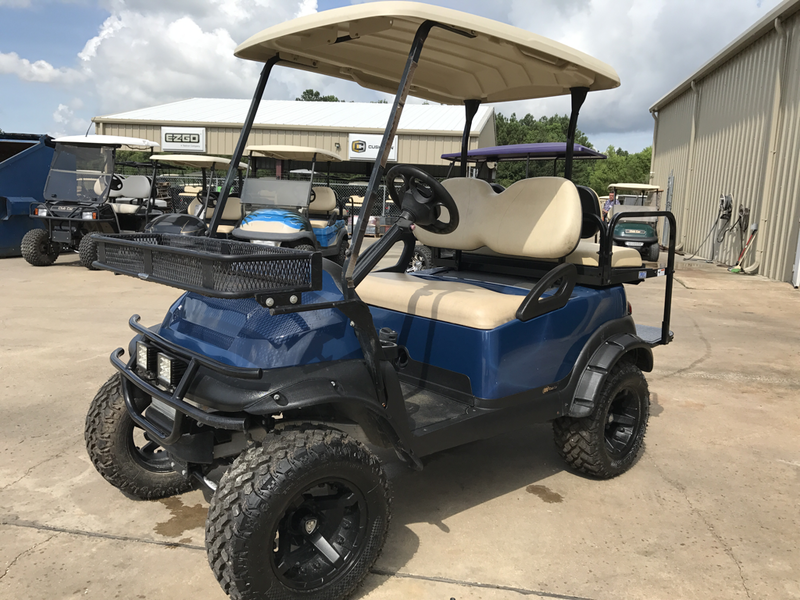 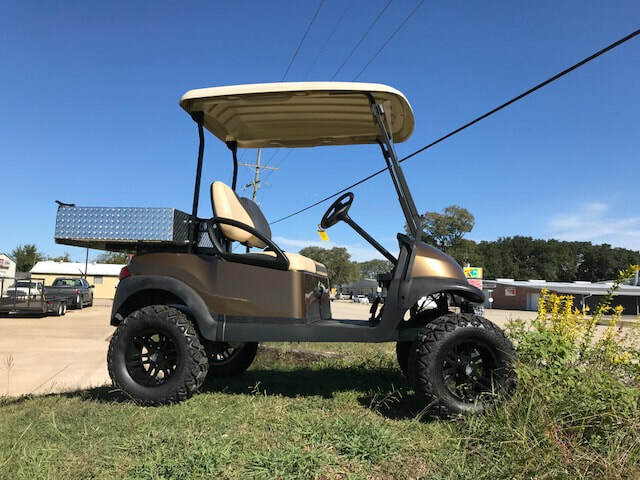 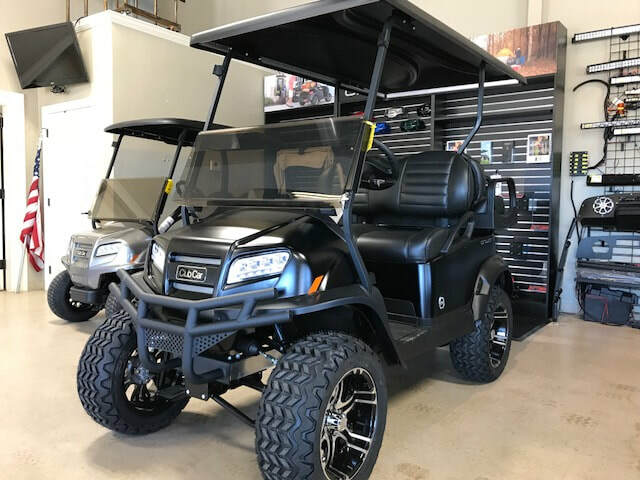 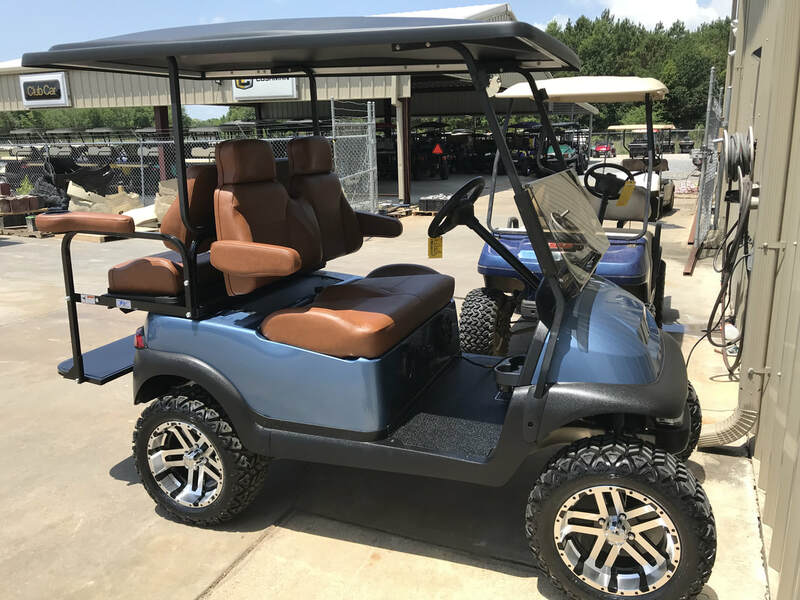 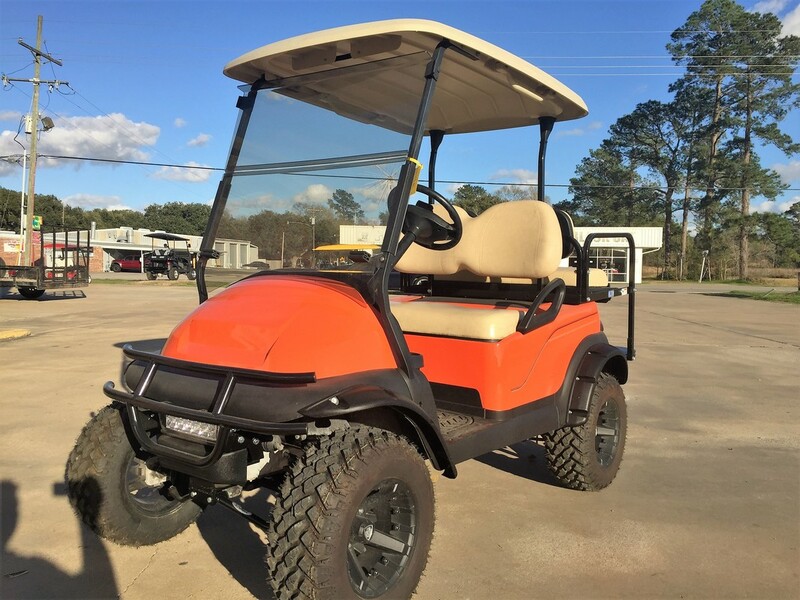 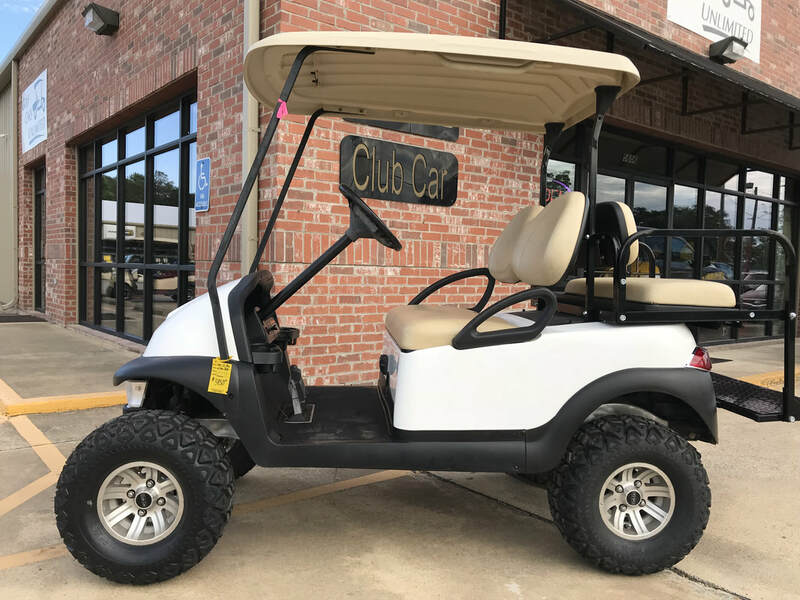 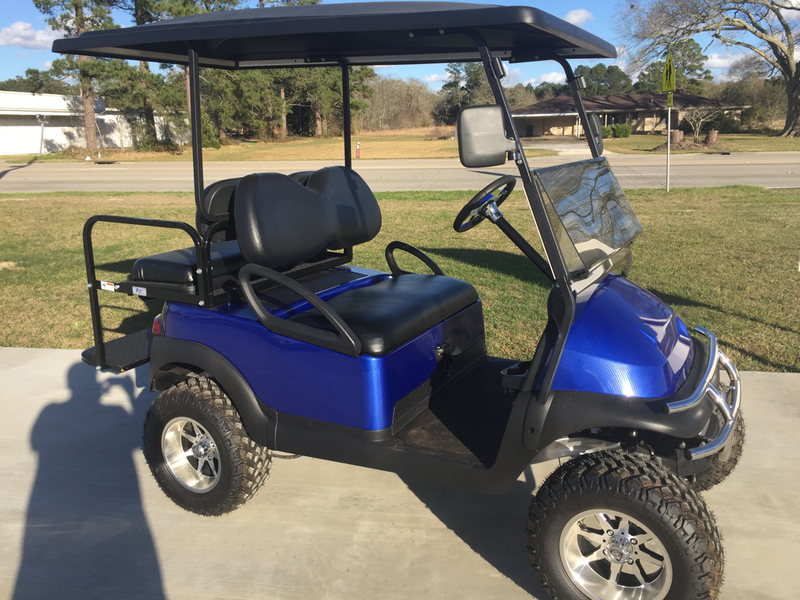 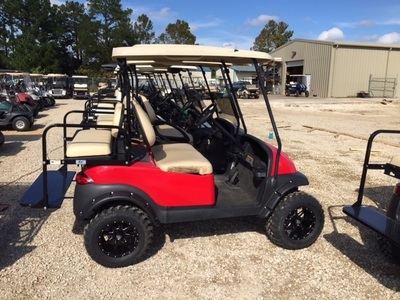 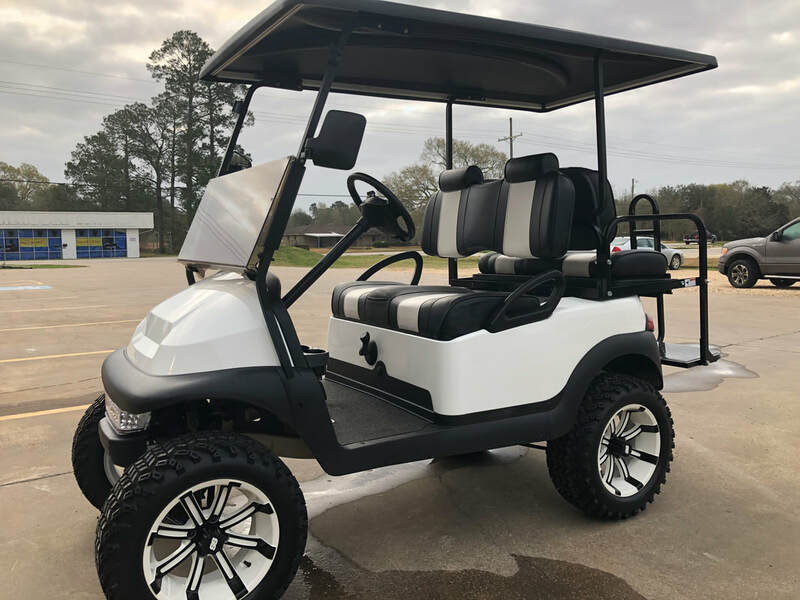 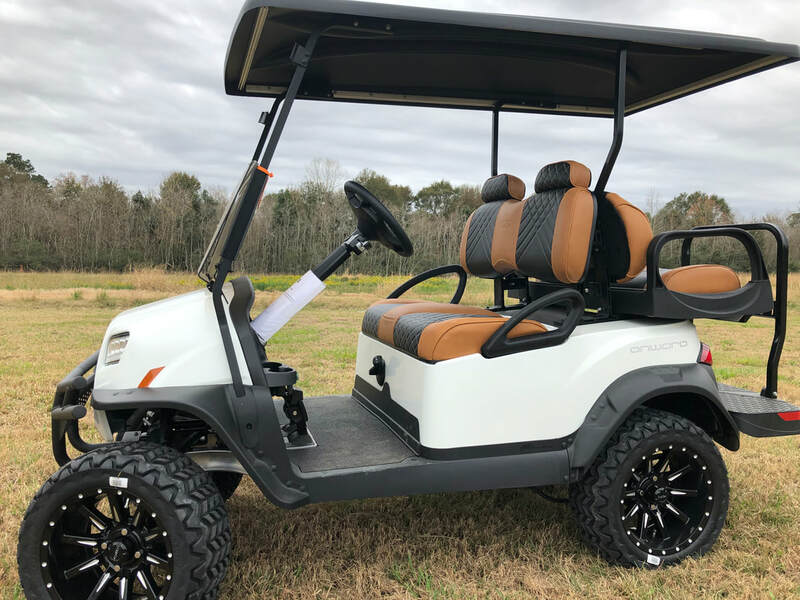 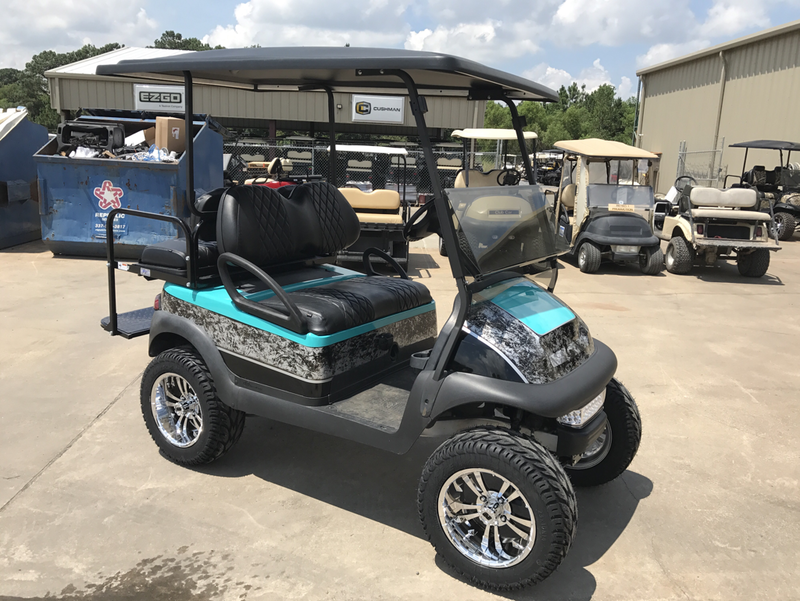 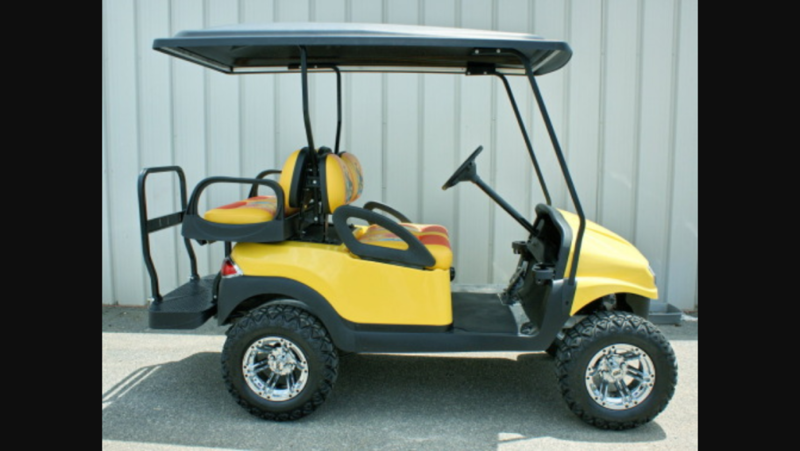 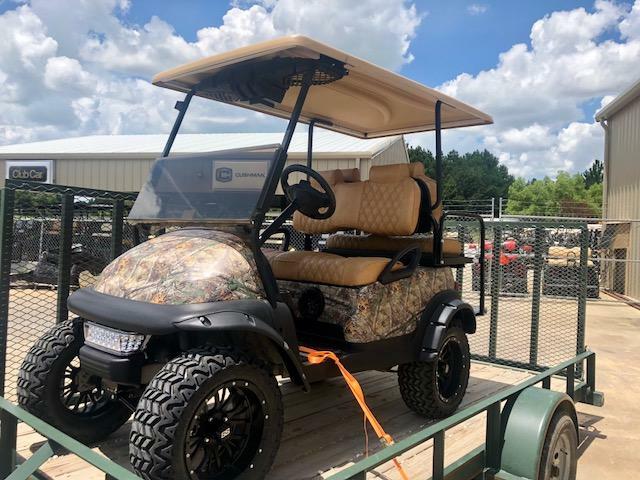 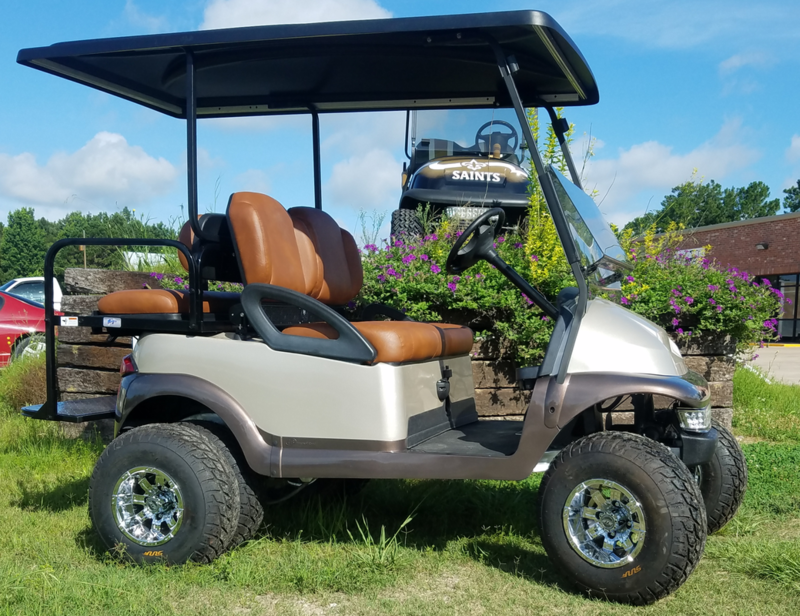 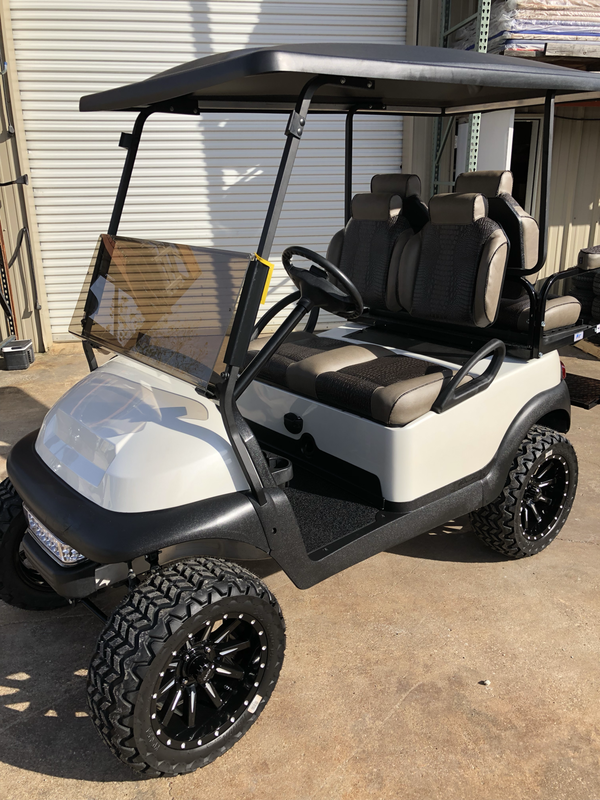 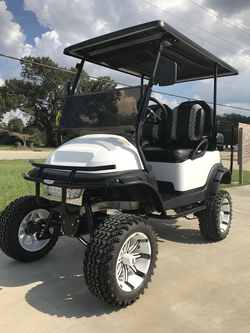 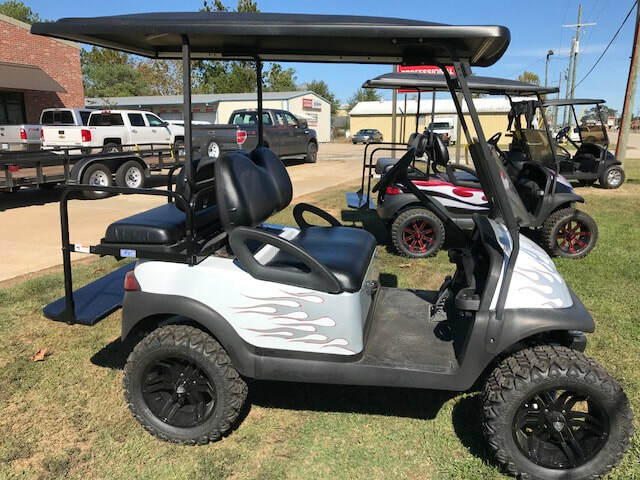 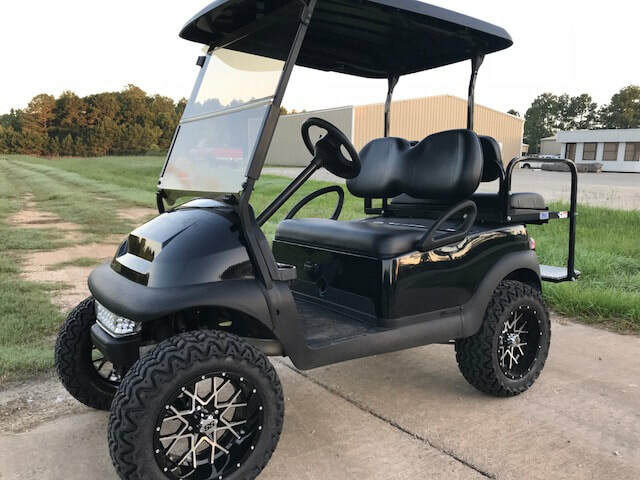 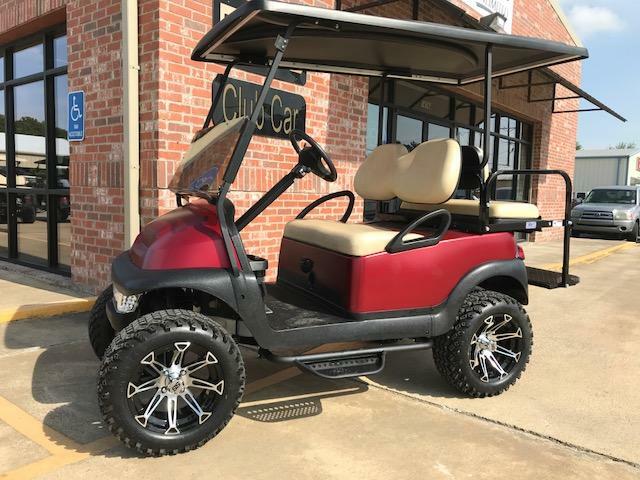 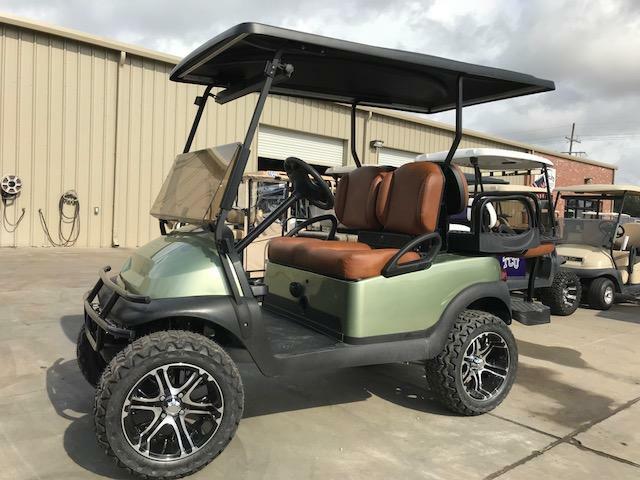 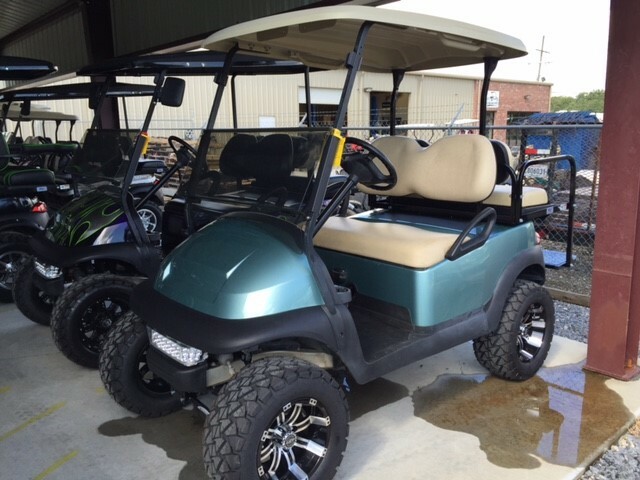 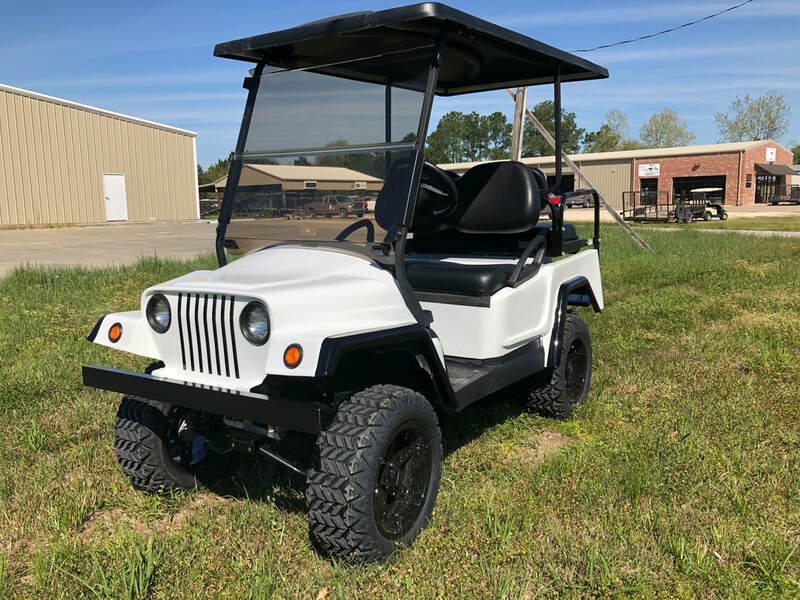 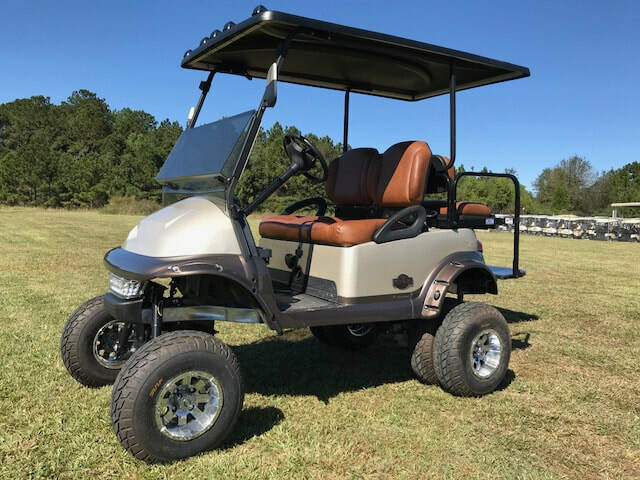 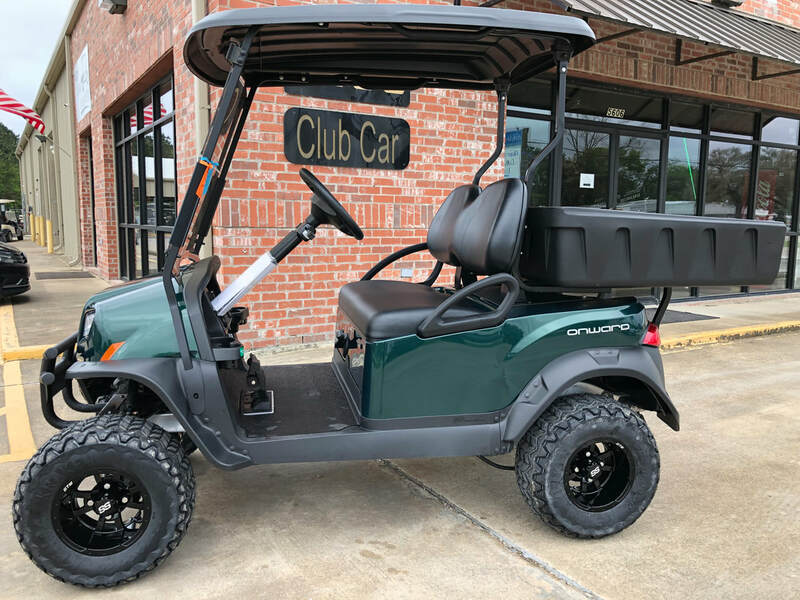 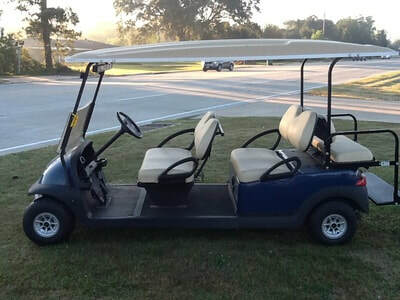 Golf Cars Unlimited has an extensive inventory of custom carts; if we don’t have one you want, in as little as a day, we can build one for you. 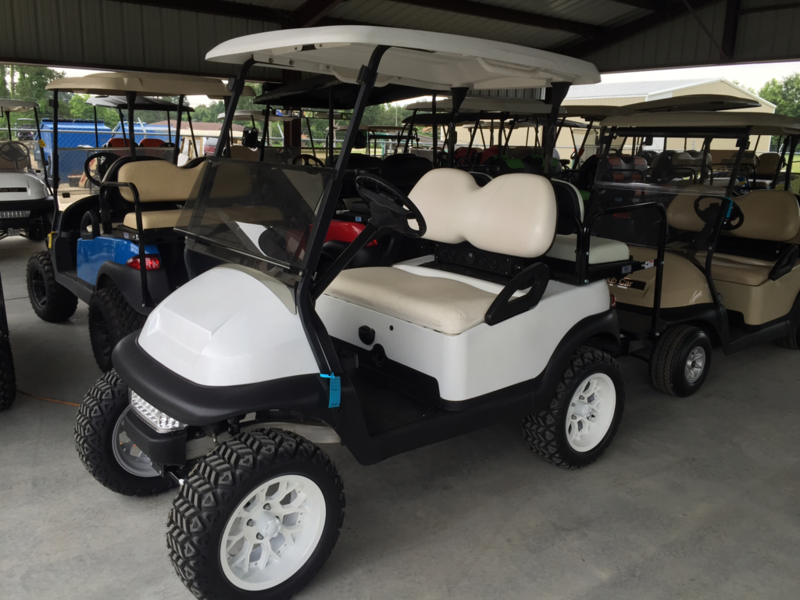 This is how it works: You can look at our carts in our covered pavilion where all our price tags are itemized. 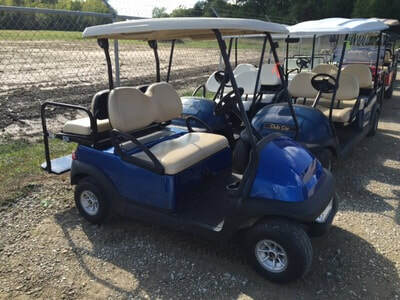 If you pick one of these carts, we can add or take off any items and adjust the price accordingly. 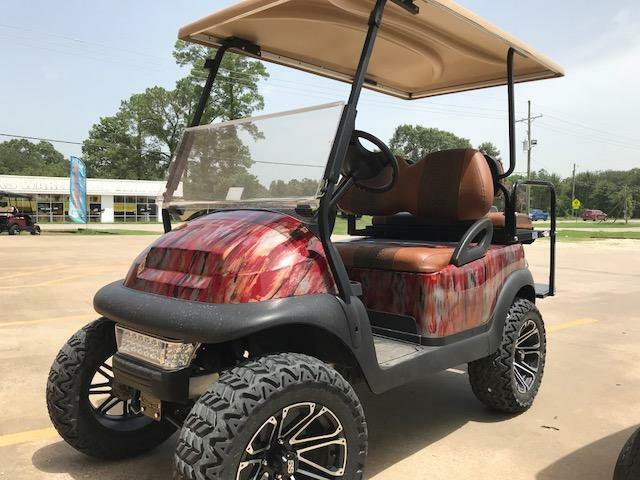 If you don’t see anything you’d like, choose a raw cart. 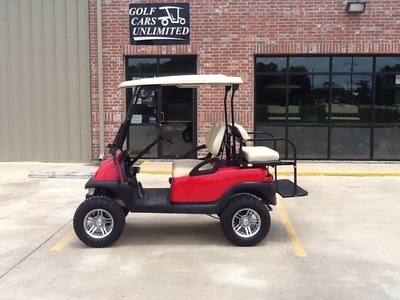 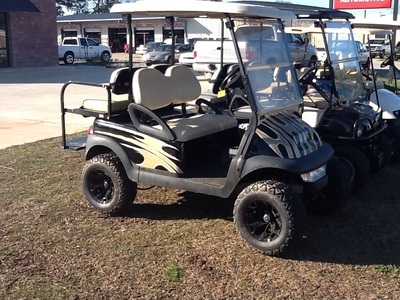 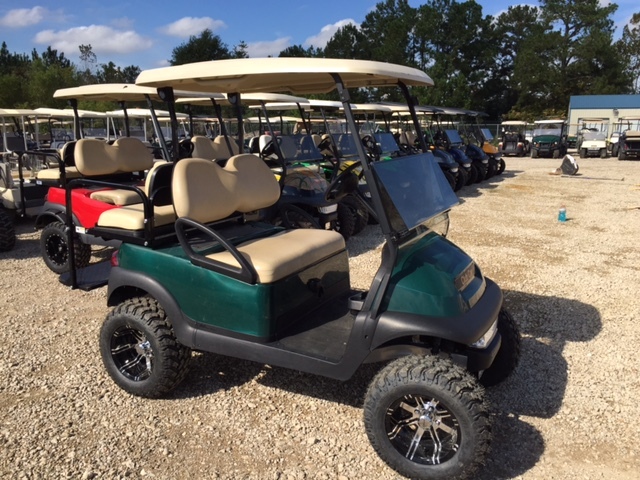 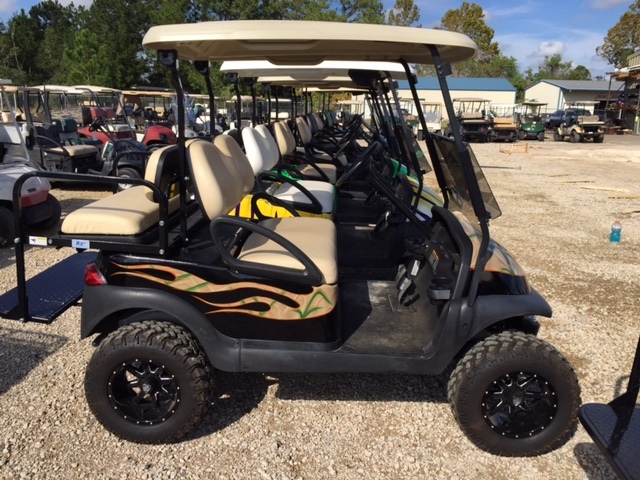 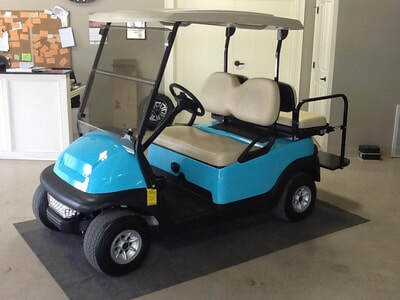 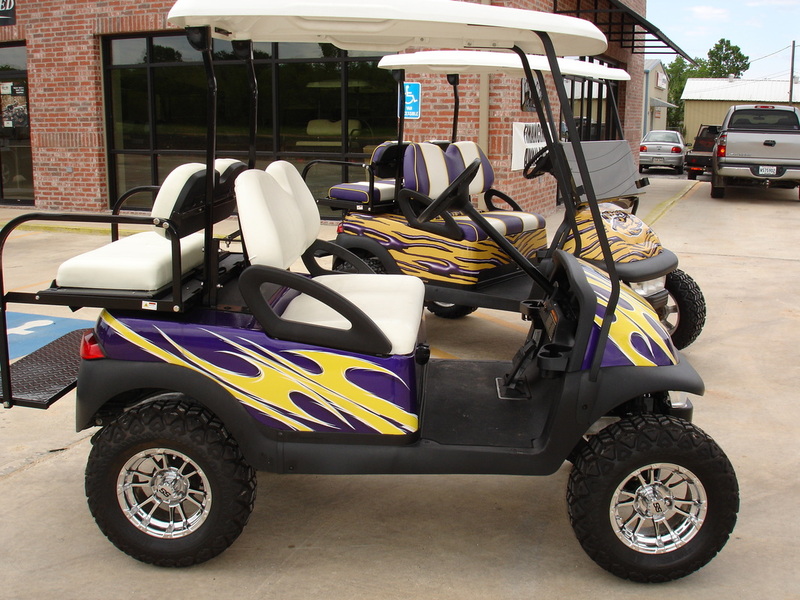 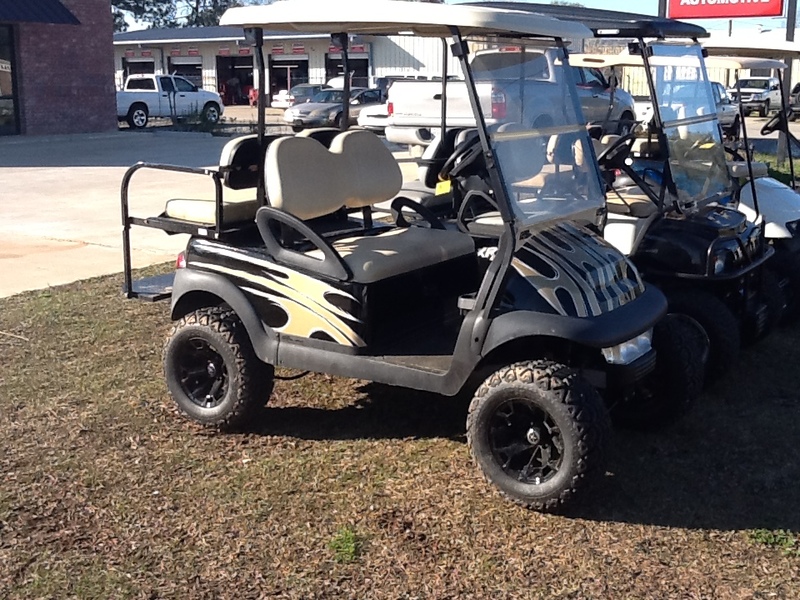 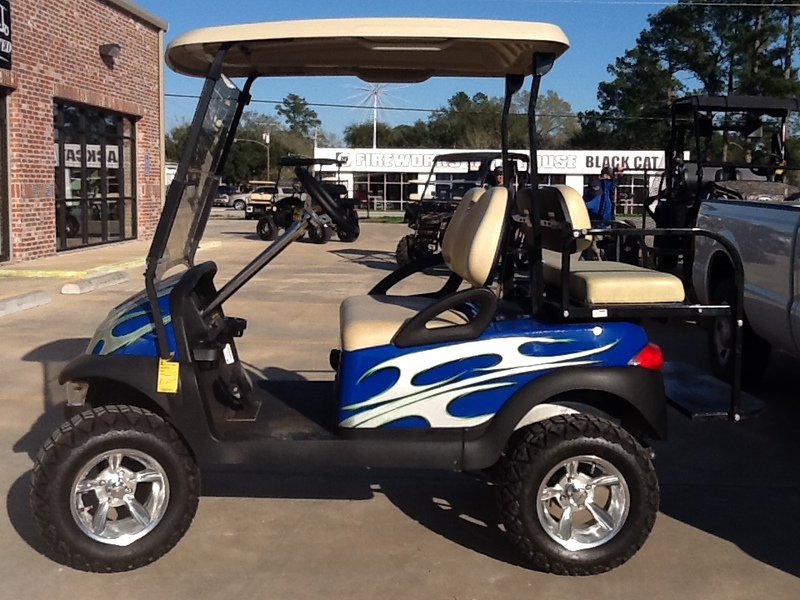 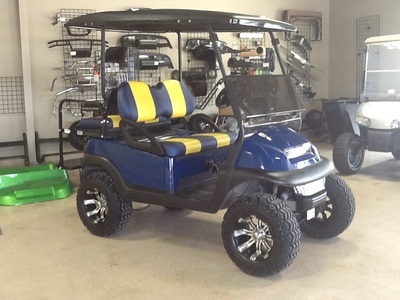 We sell both new and used carts that are powered by either gas or electric, with any accessories you want to add. We build the cart to your specifications, and you get to see your cart before you pay. 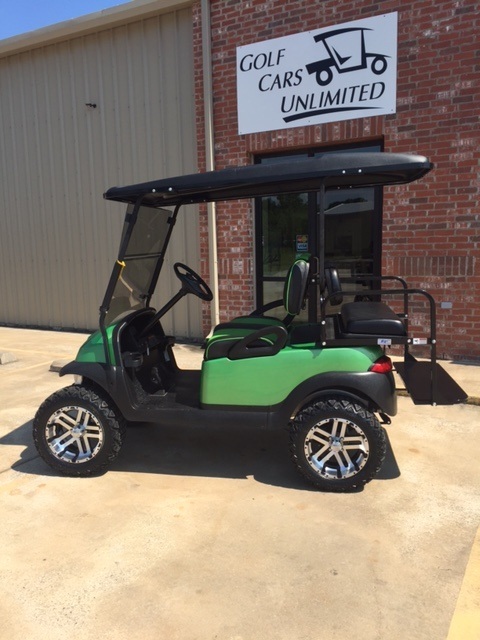 NEW CARTS IN STOCK PRICED TO SELL!!!!! 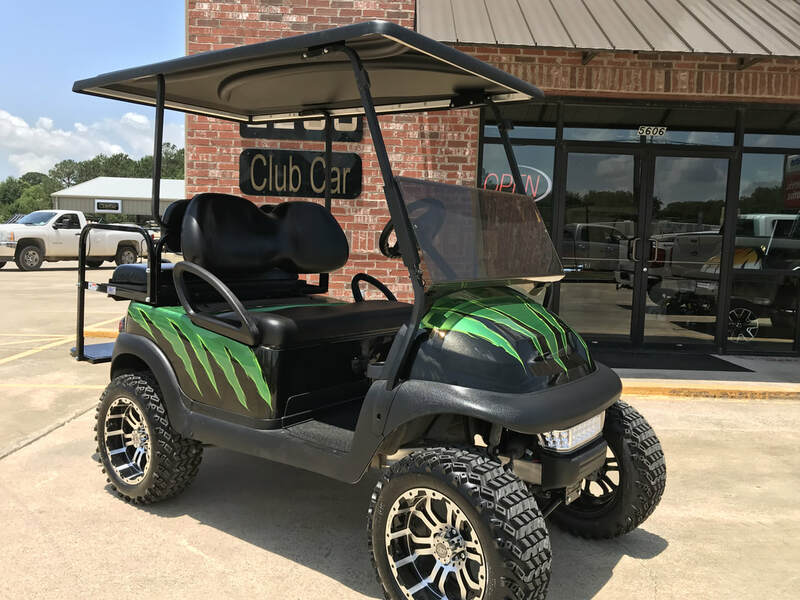 PRE-OWNED CARTS IN STOCK PRICED TO SALE!!!! 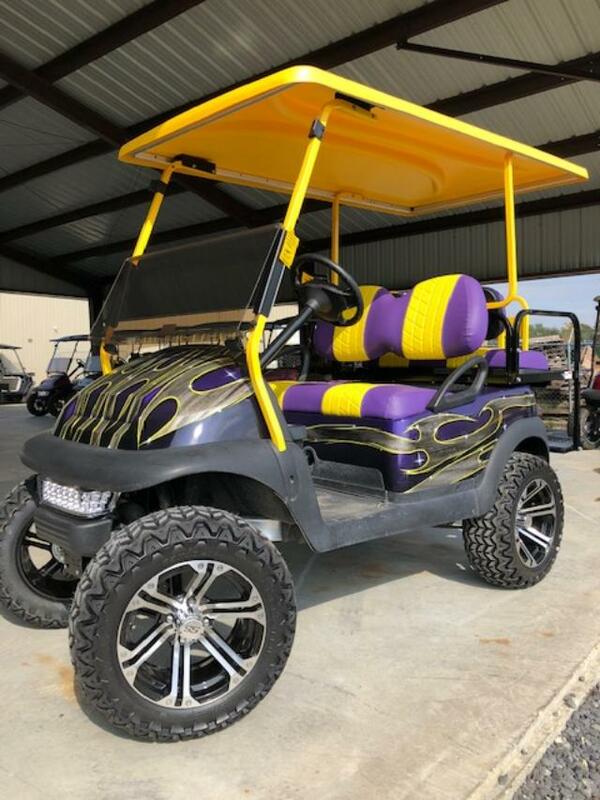 ​Truly unique designs, attention to detail, and stunning accessory packages are why Golf Cars Unlimited are unmatched! 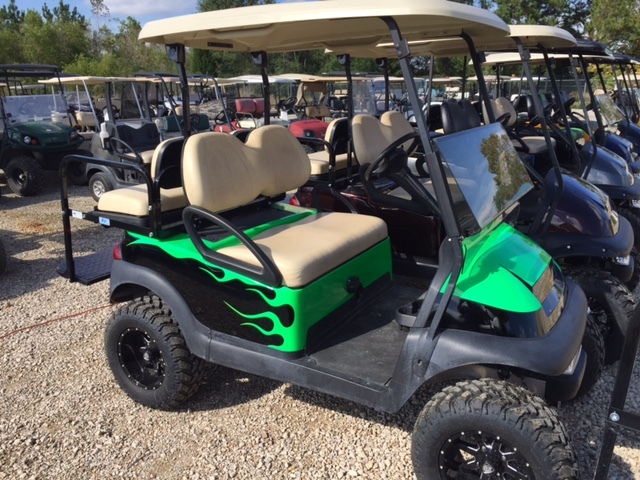 Please enjoy our gallery of carts that will have you...dreaming. 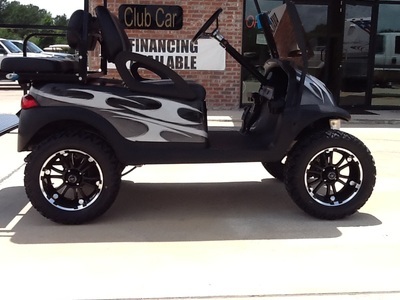 Then call, email or come in and tell us your dream, and we'll make it come true for you. 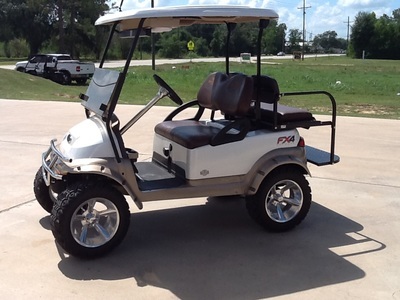 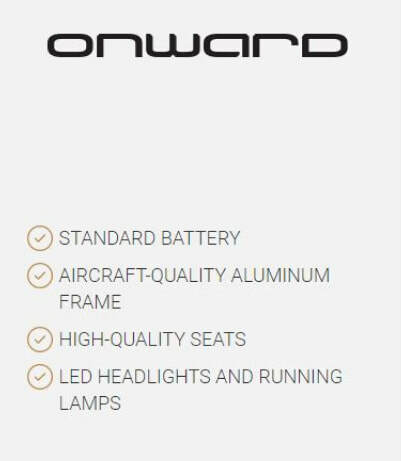 ​​All of our carts are custom built to the needs and wants of our customer. 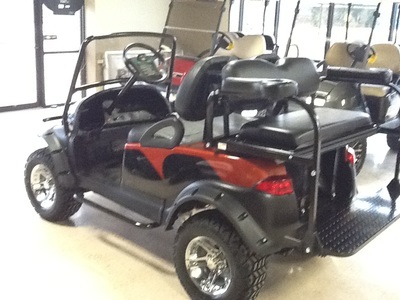 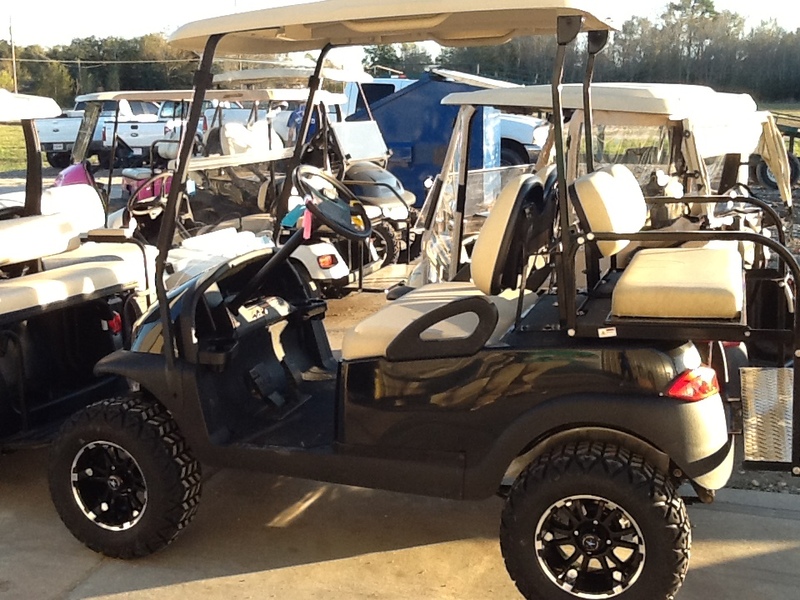 Come in and see our inventory to help you decide exactly what you want your custom built cart to look like. 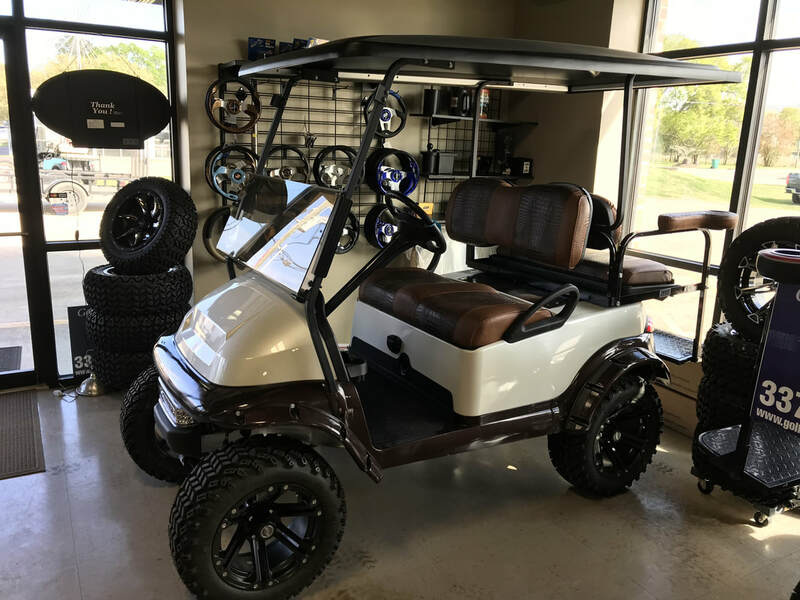 If you don't see what you are looking for, come see our stock base carts and add the accessories you want to make your cart fit your needs. 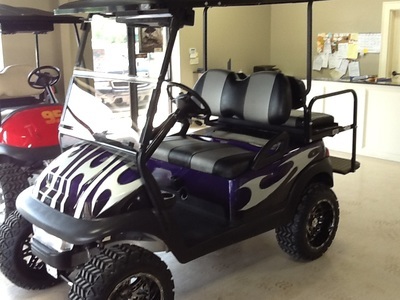 If you want a color or theme, add a painted body from our stock or design your own with one of our painters.